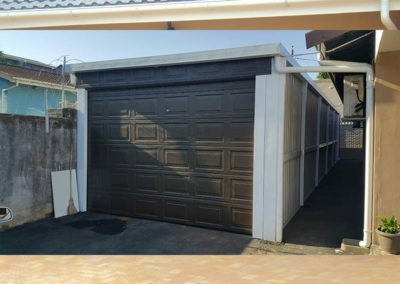 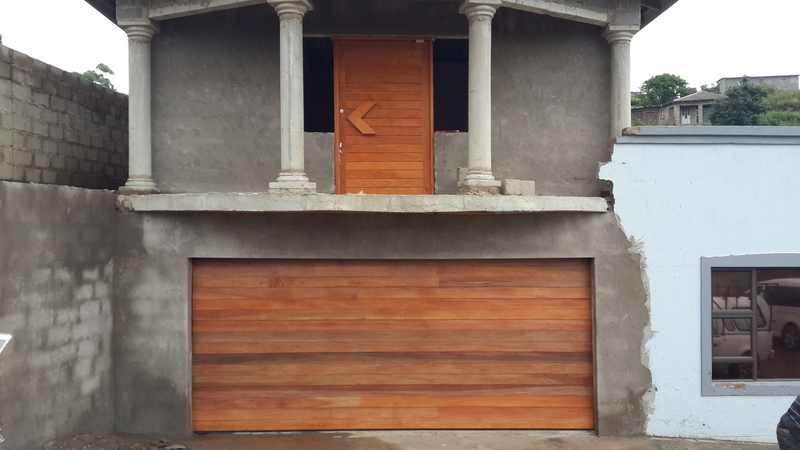 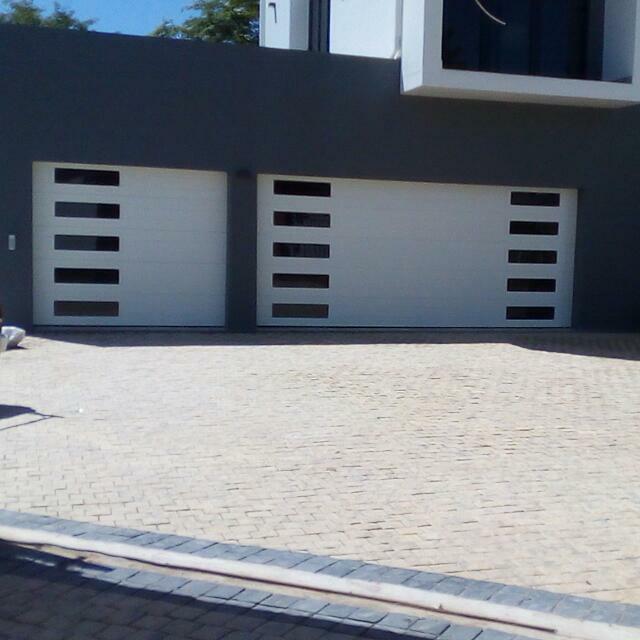 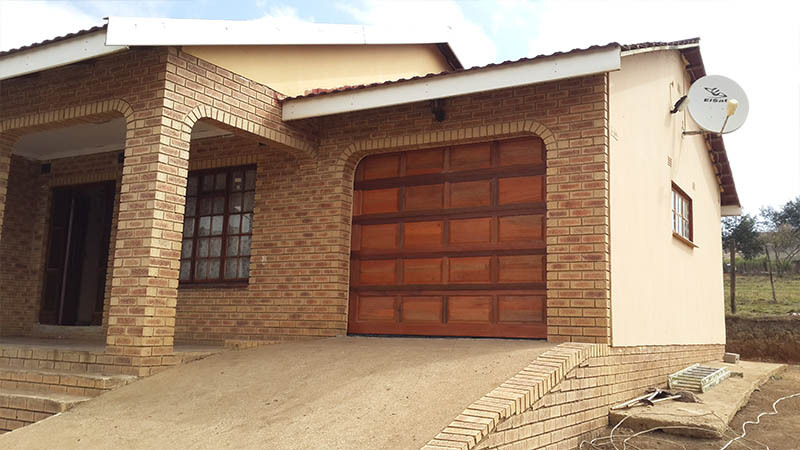 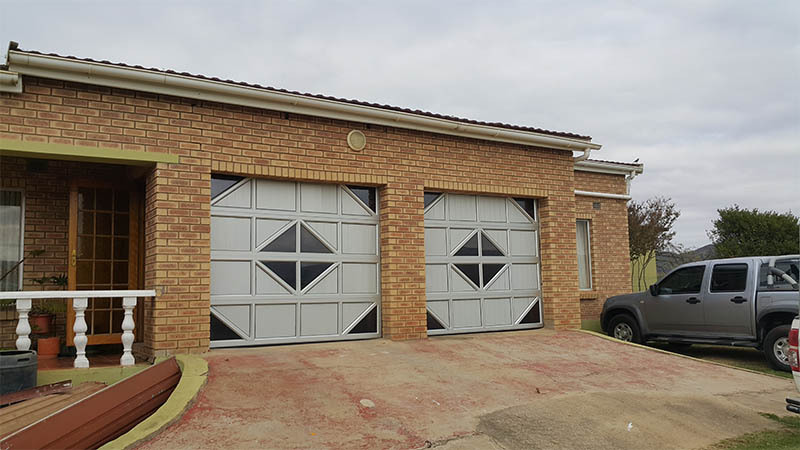 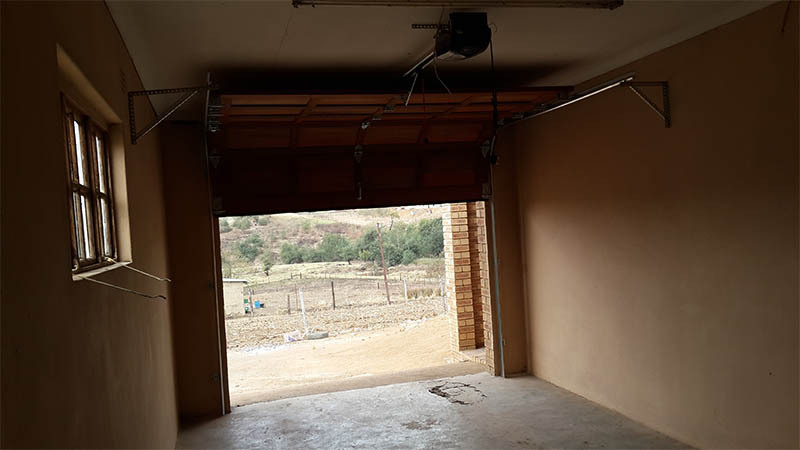 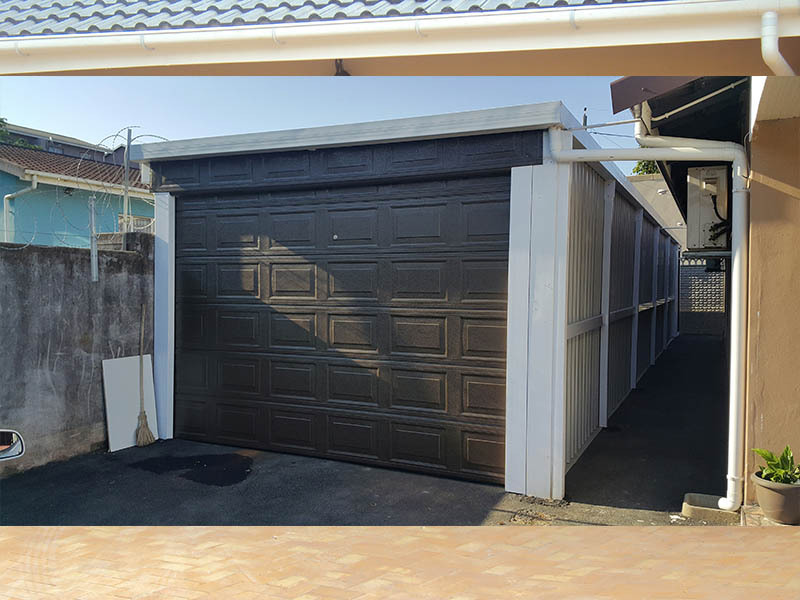 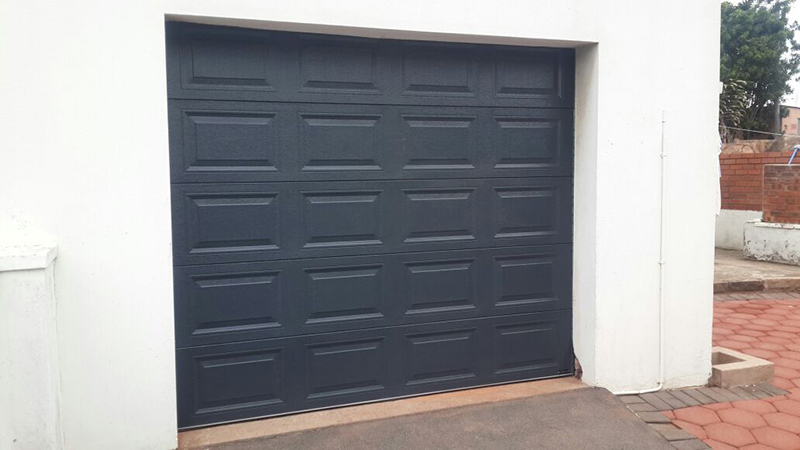 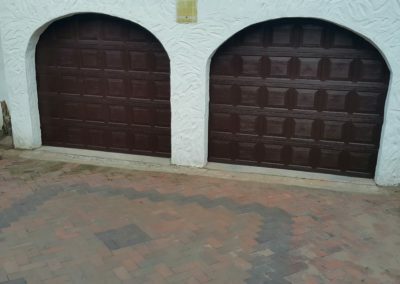 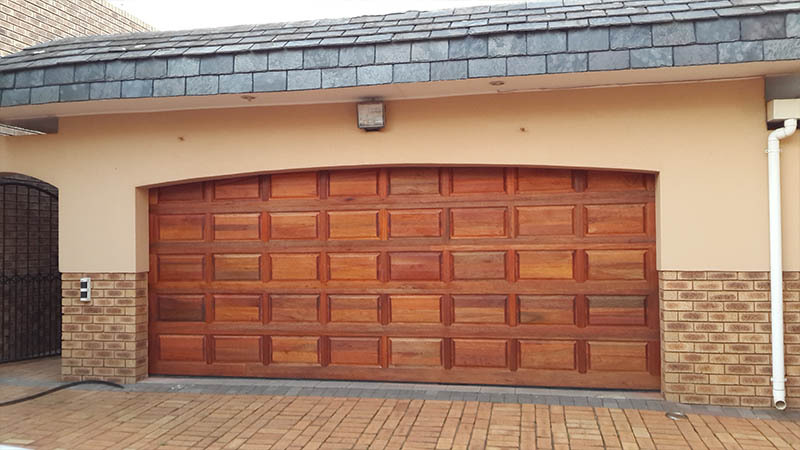 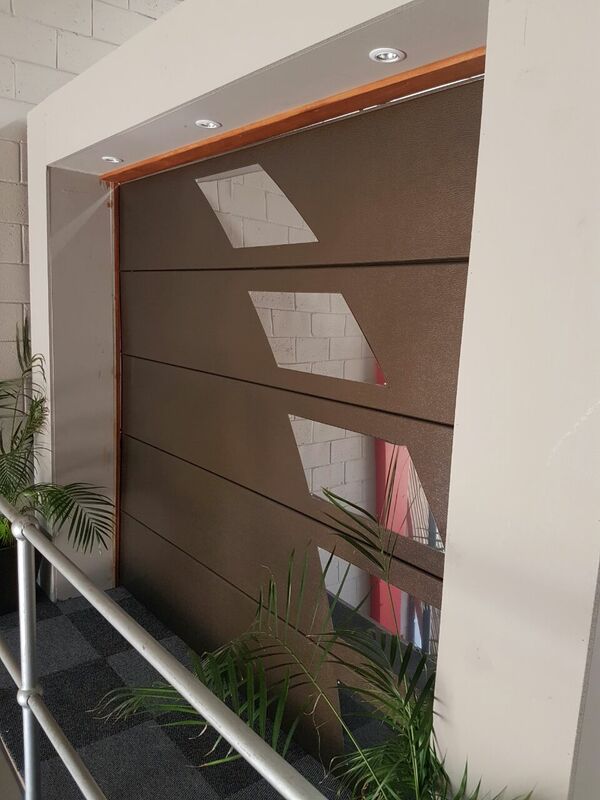 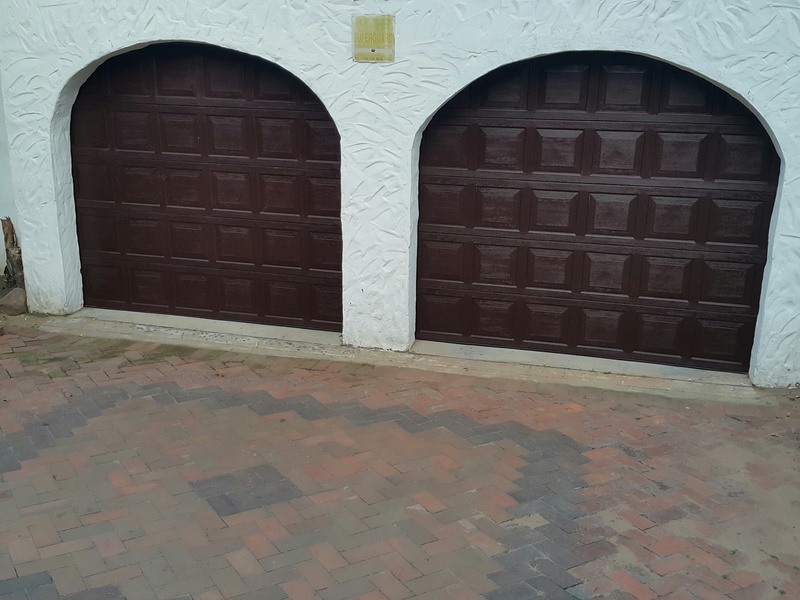 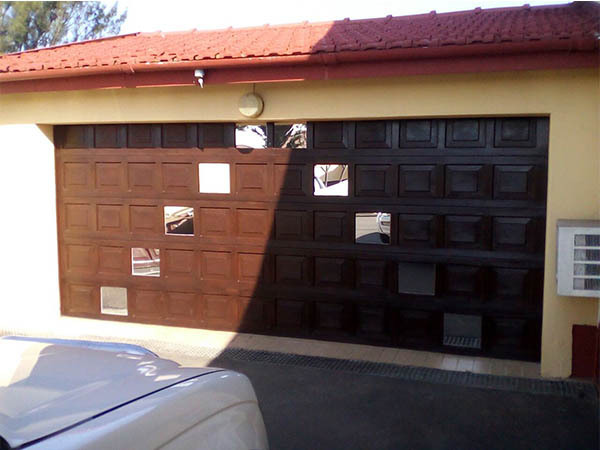 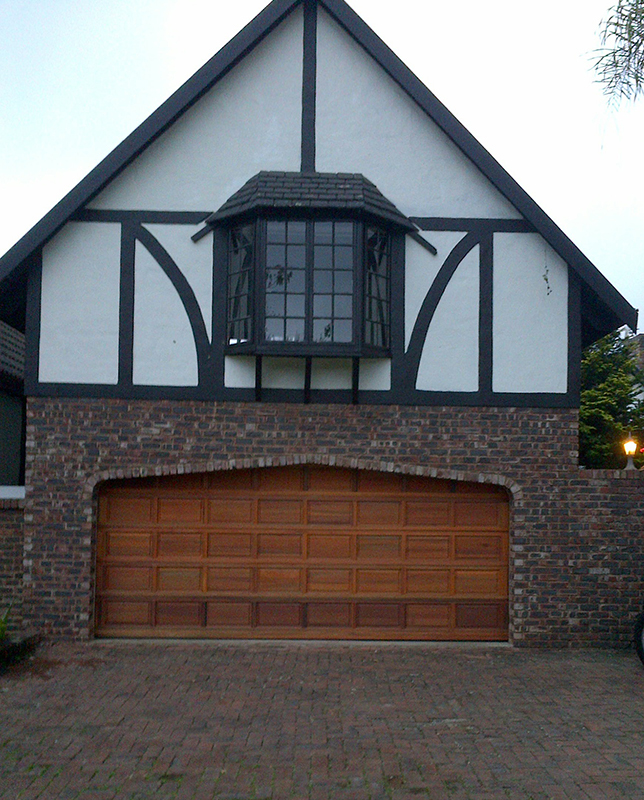 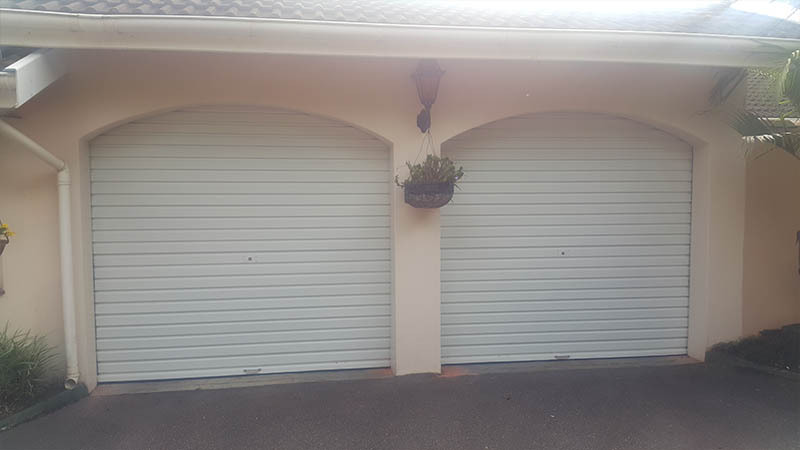 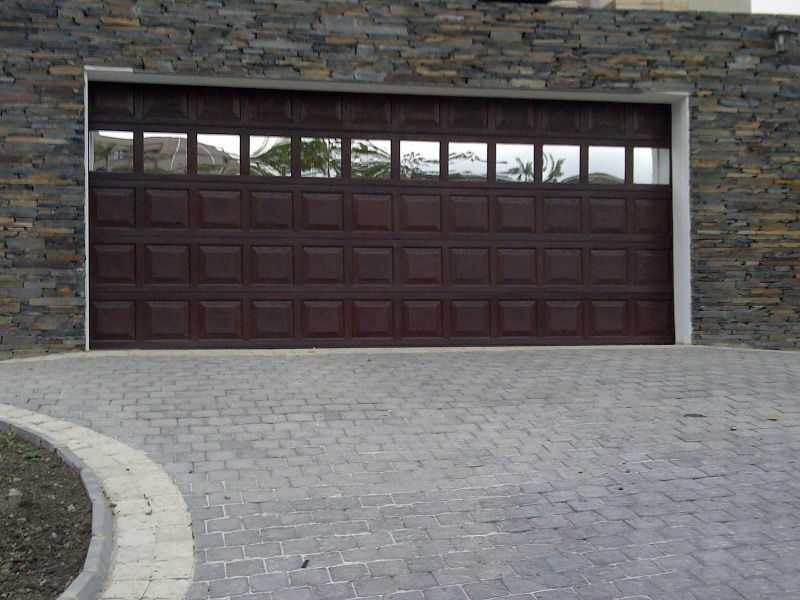 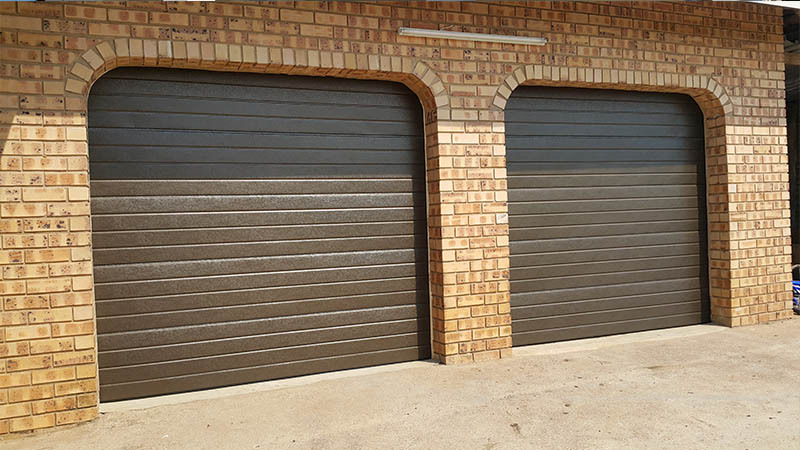 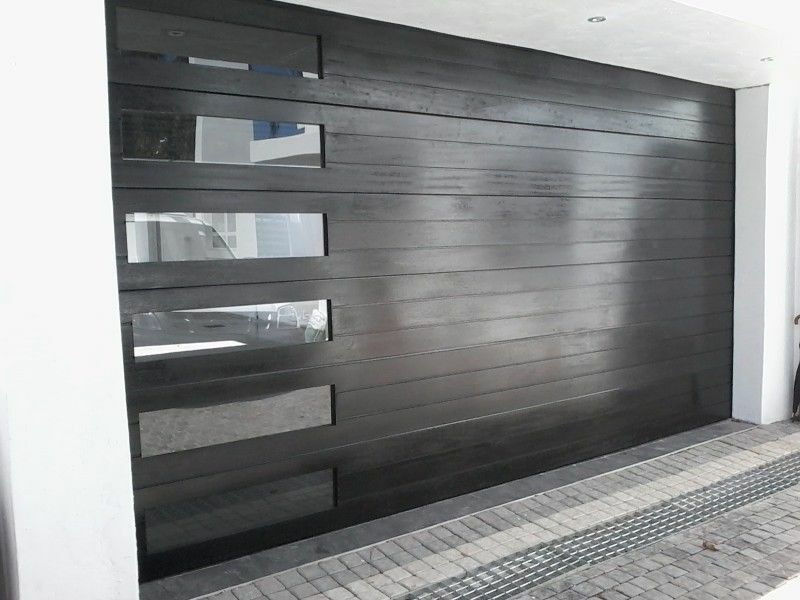 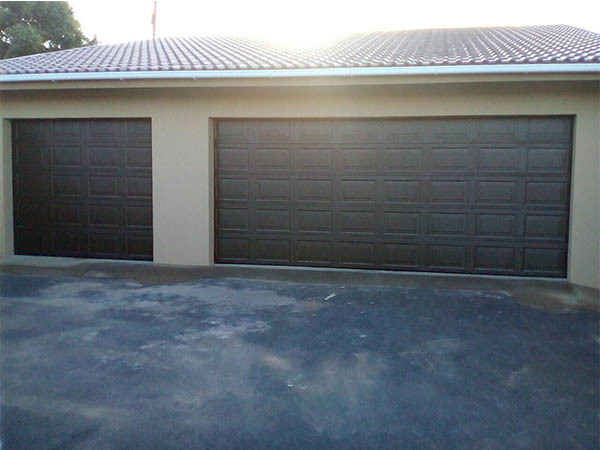 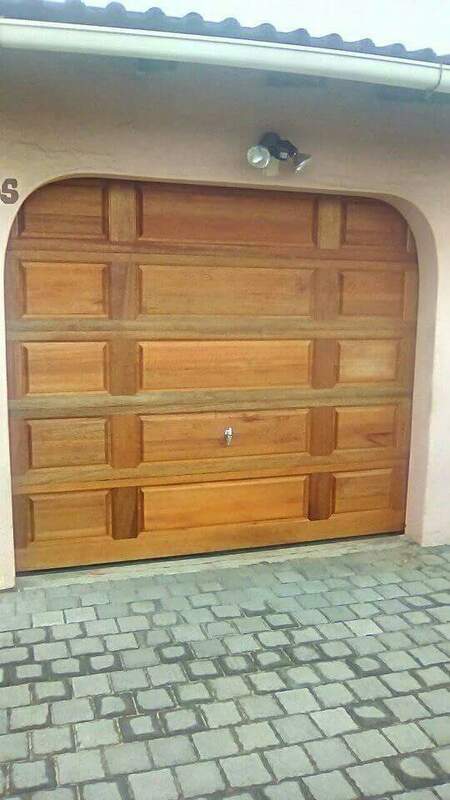 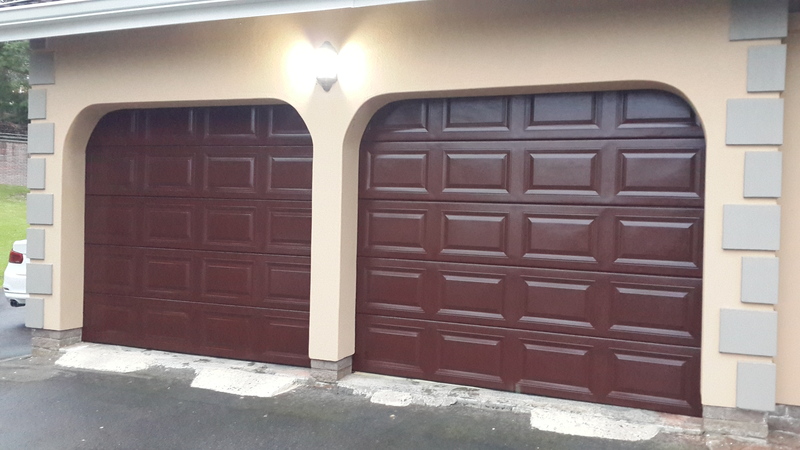 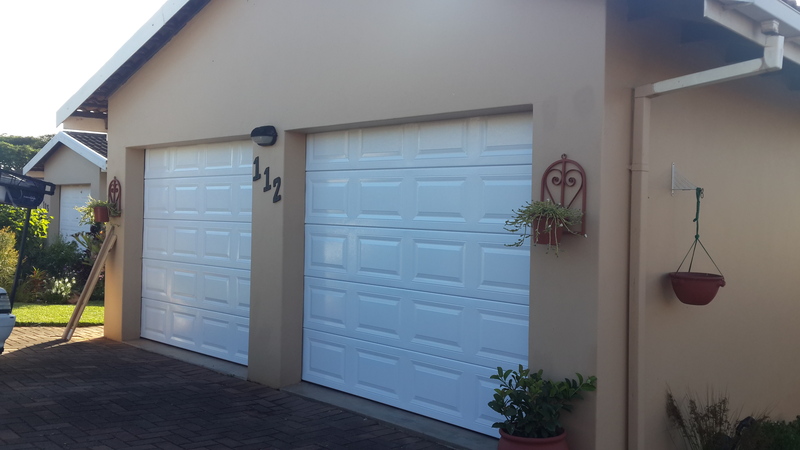 Quality Design Doors is a business that has been passed over a generation, with knowledge gained from the first garage door companies established in South Africa and is now a leading name in the industry. 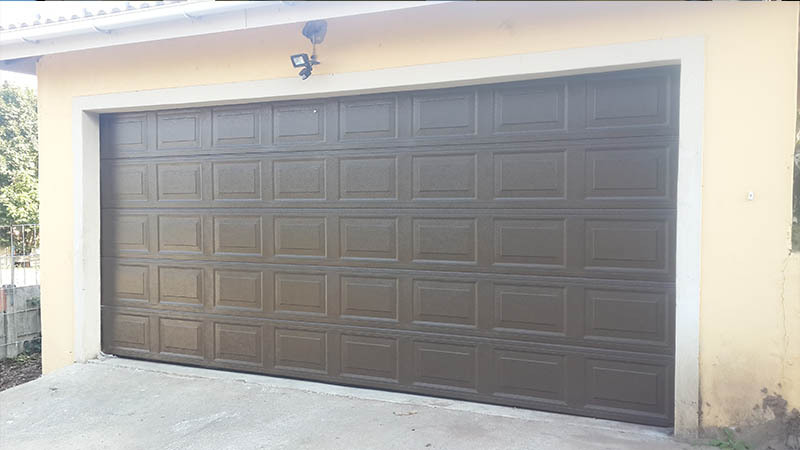 With excellent before and after service, undisputed quality and workmanship as well as the neatest installations sets us apart from the rest. 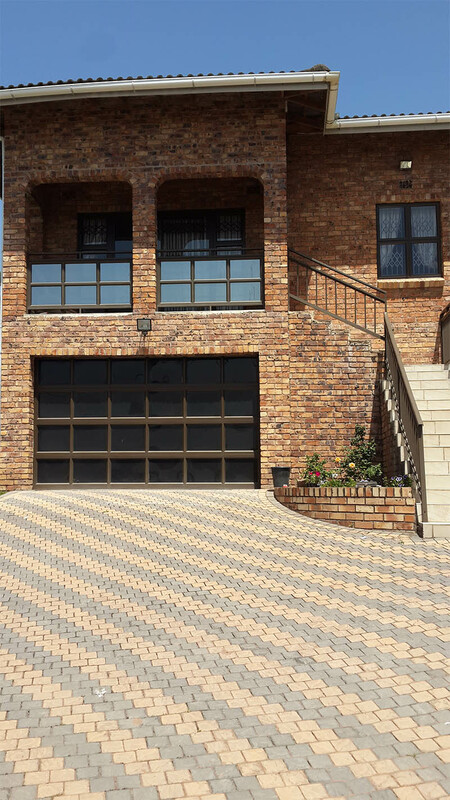 We serve the domestic industry. 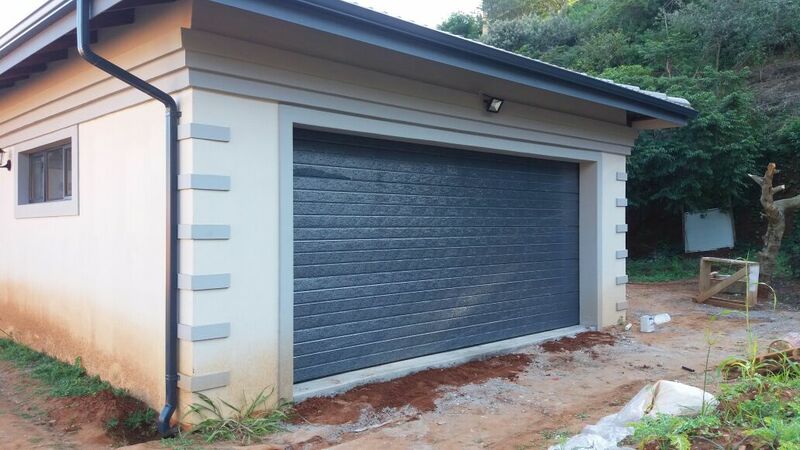 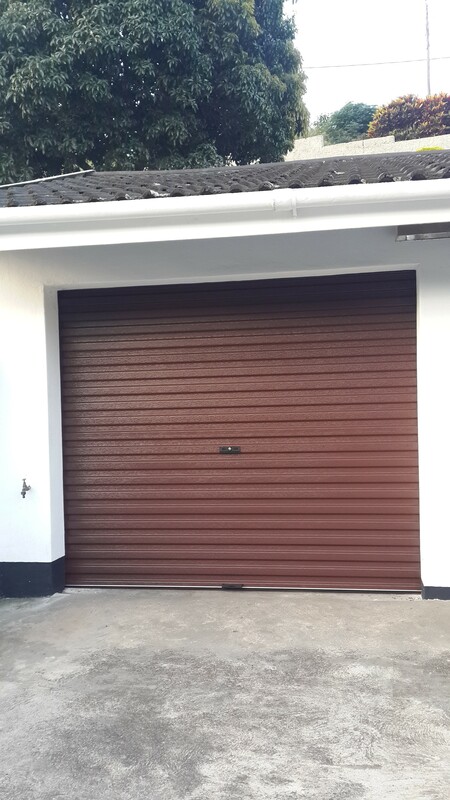 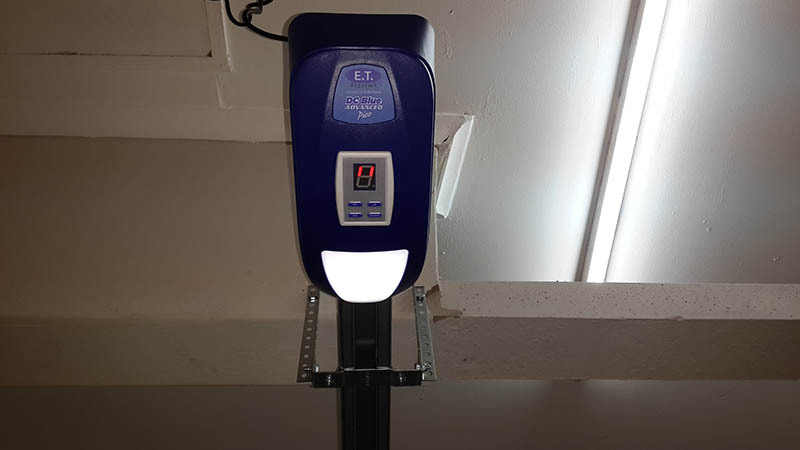 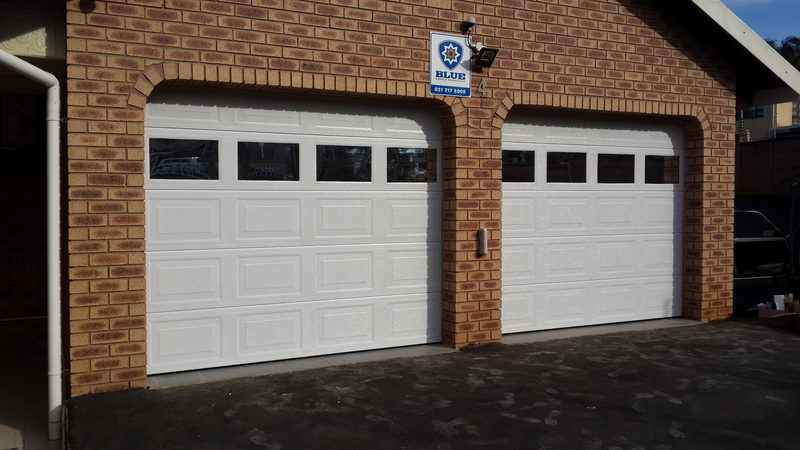 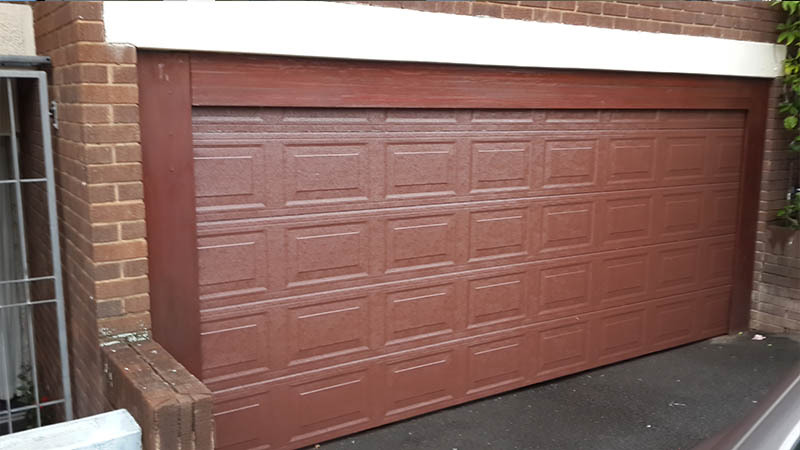 We manufacture and install Fibreglass and Aluminium garage doors as well as supply and install Wooden and Aluzinc garage doors with automatic controls. 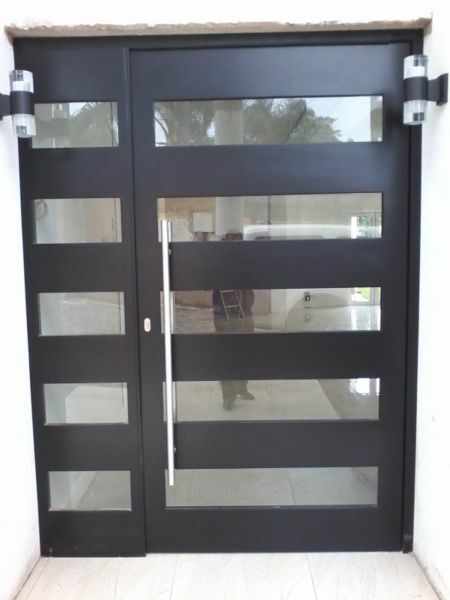 Quality Design Doors has a goal which is to ensure an extremely satisfied customer that will always uphold our brand proudly. 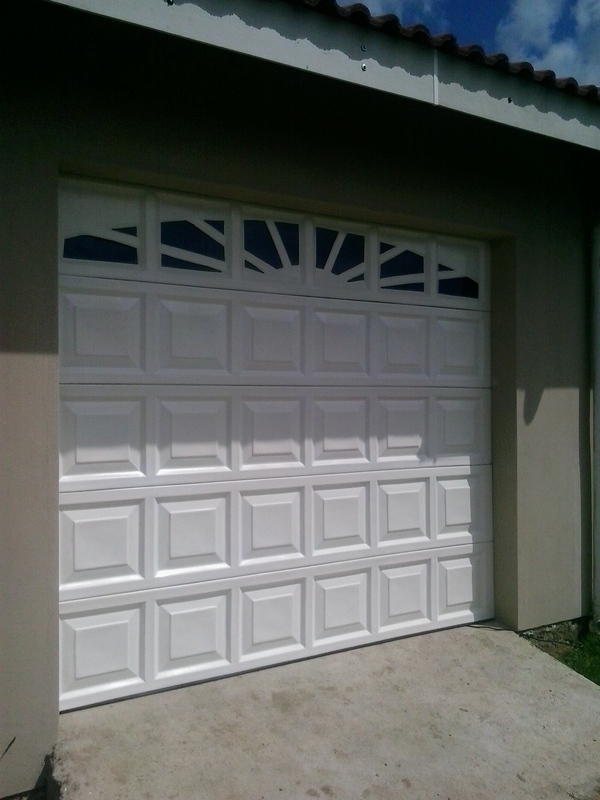 We aim for the best quality of product and service. 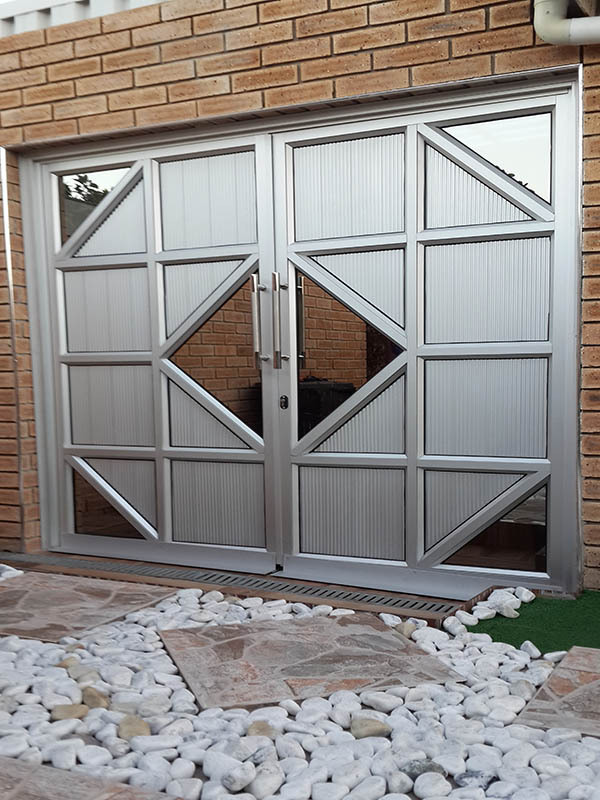 Every other company has a goal of being the biggest in the industry which many a times leads to an upset or disappointed customer, Quality Design Doors has a goal which is to ensure an extremely satisfied customer that will always uphold our brand proudly. 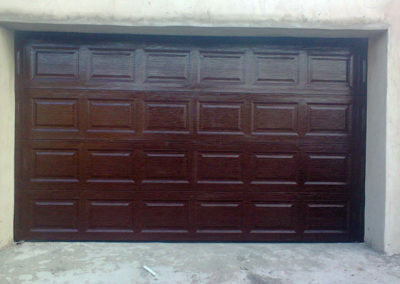 We aim for the best quality of product and service. 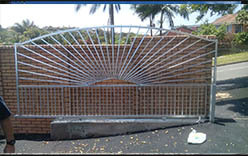 We do not look for the cheap way out to maximise profits, always looking to supply the best quality. 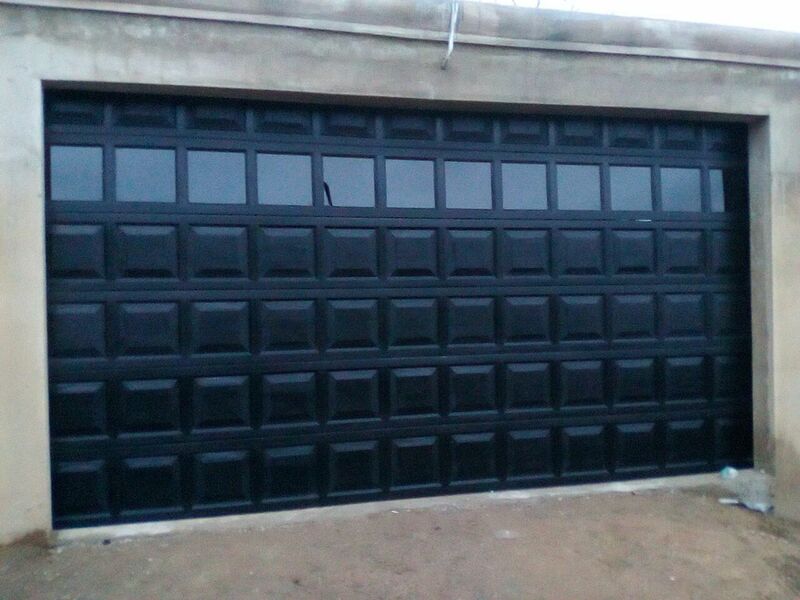 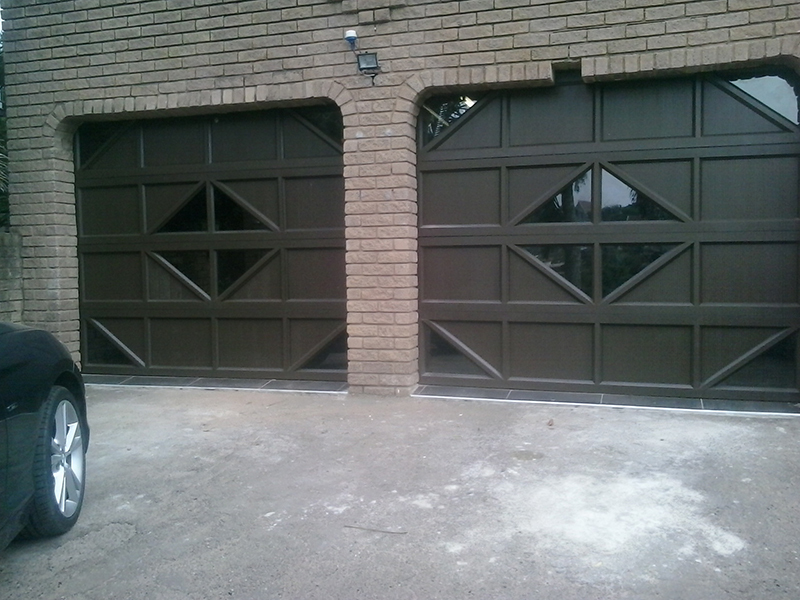 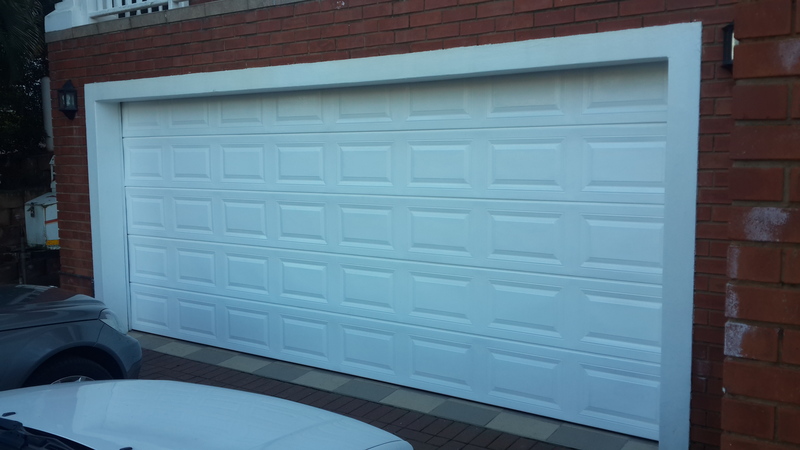 We provide custom glass feature garage doors on both Aluzinc and Fibreglass garage doors. 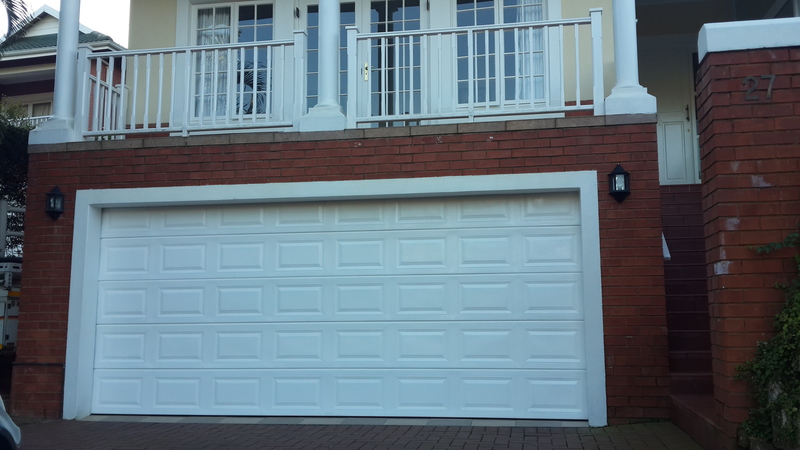 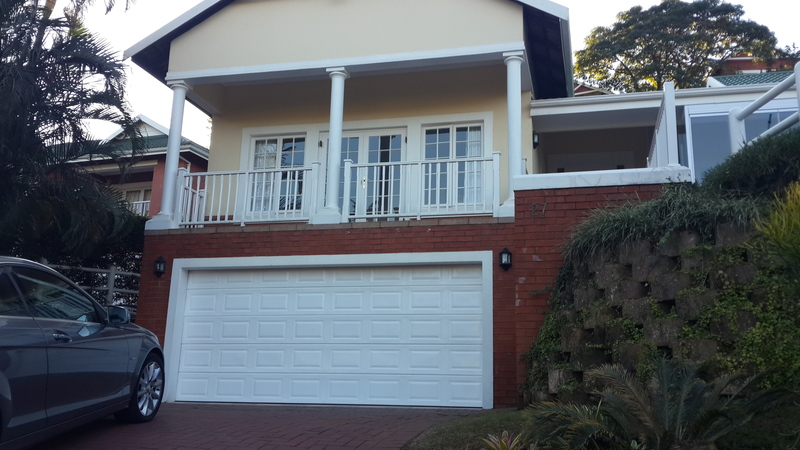 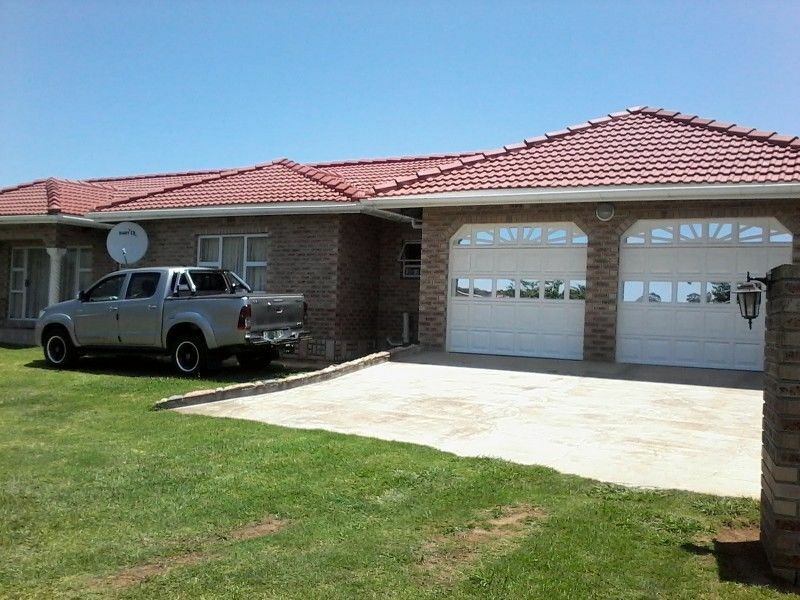 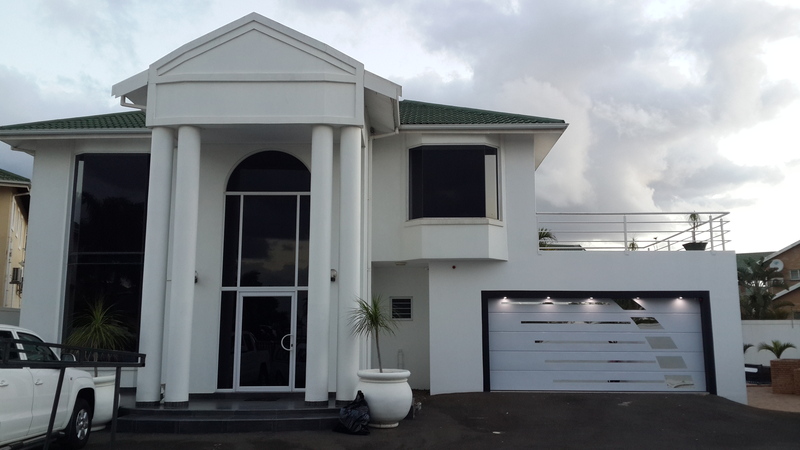 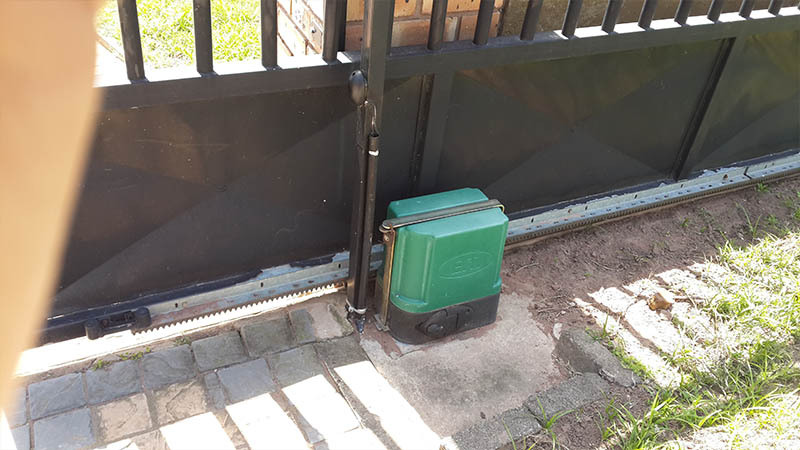 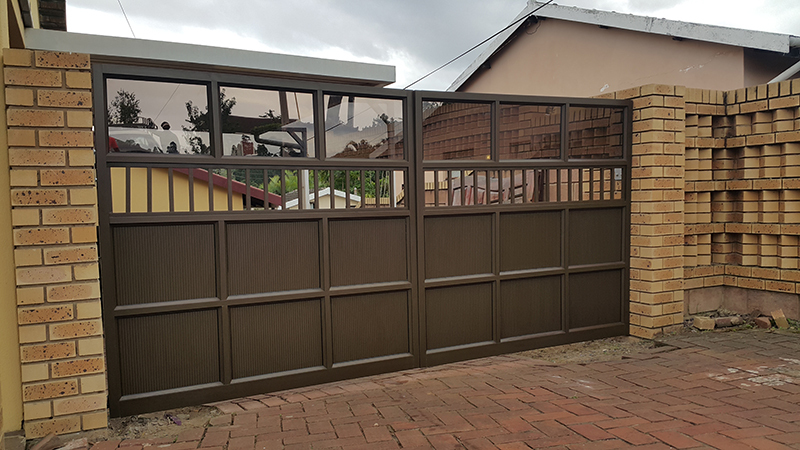 Our Fibreglass products are hand crafted with the highest level of raw materials and the end result is currently on the face of many homes in and around South Africa. 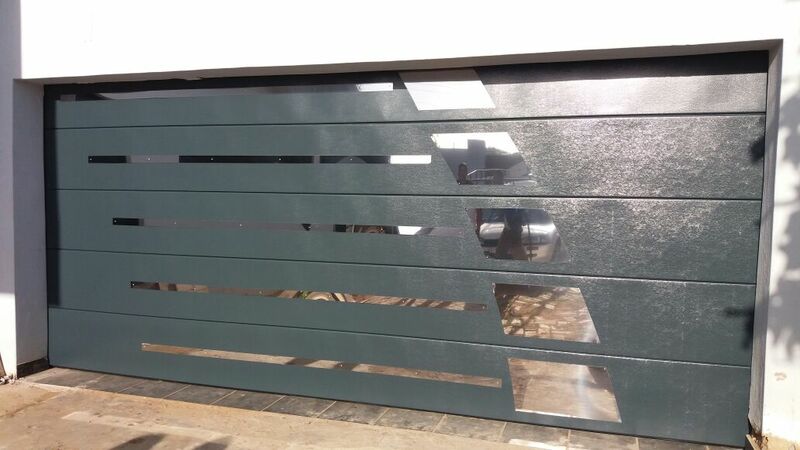 Each garage door panel undergoes a quality assurance check before it is sent over for the metal assembly. 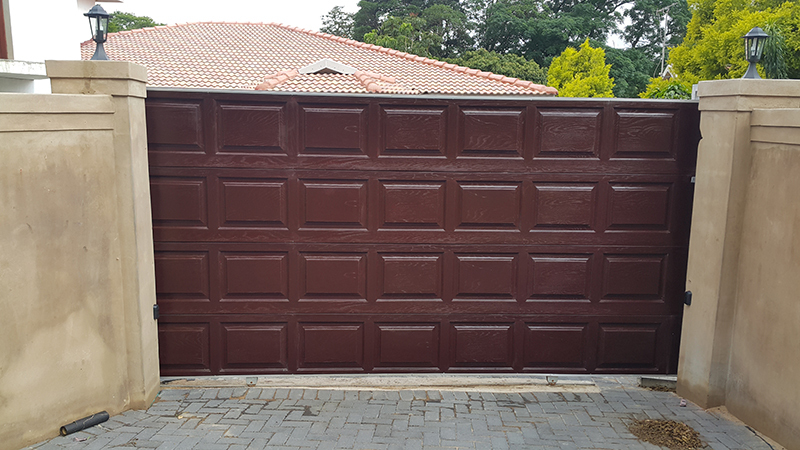 Fibreglass Doors are manufactured with dark pigments and gel coats that ensure no fading of colour and material deterioration. 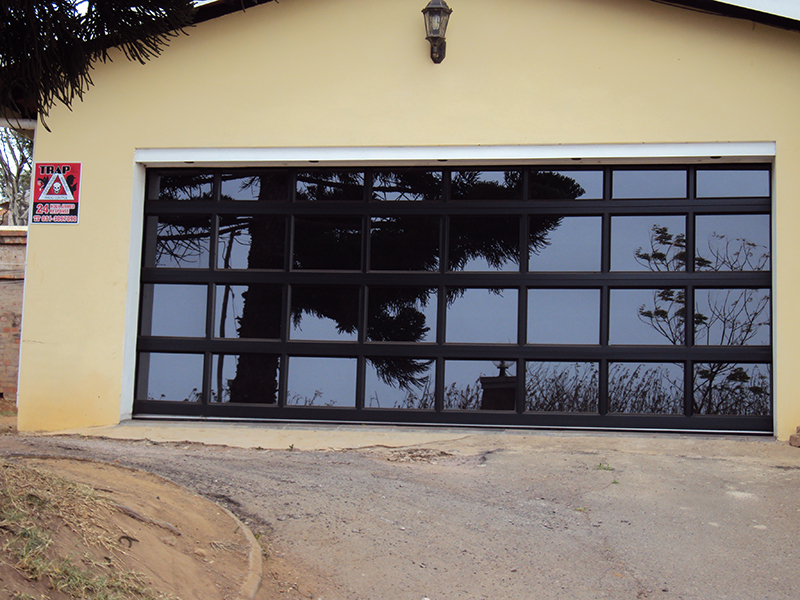 An Aluminium metal assembly ensures a RUST PROOF product that is ideal for installation along the coastline. 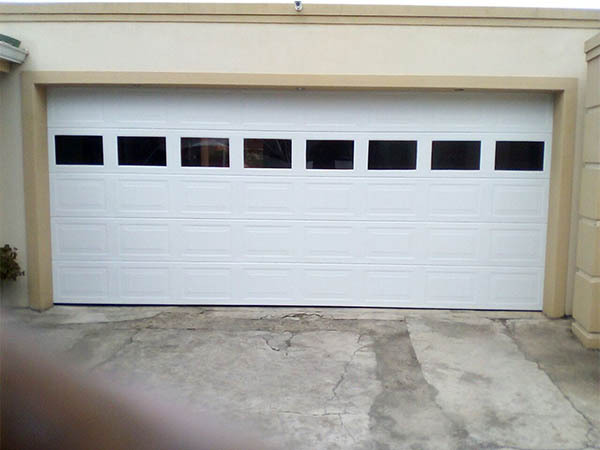 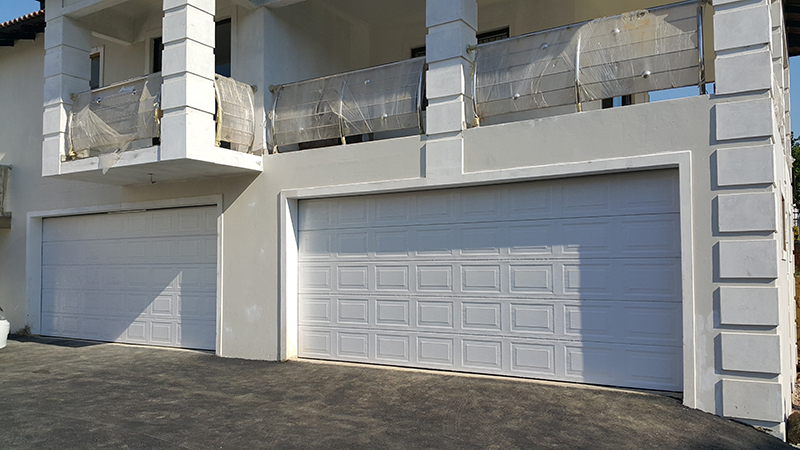 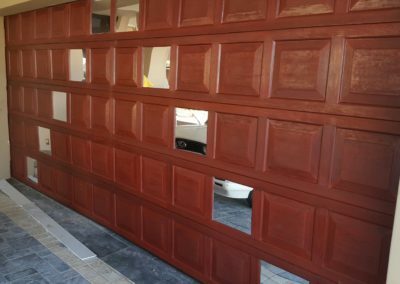 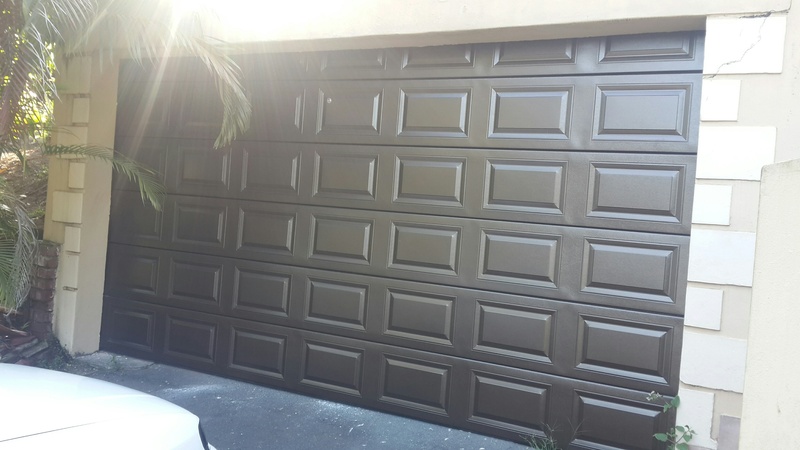 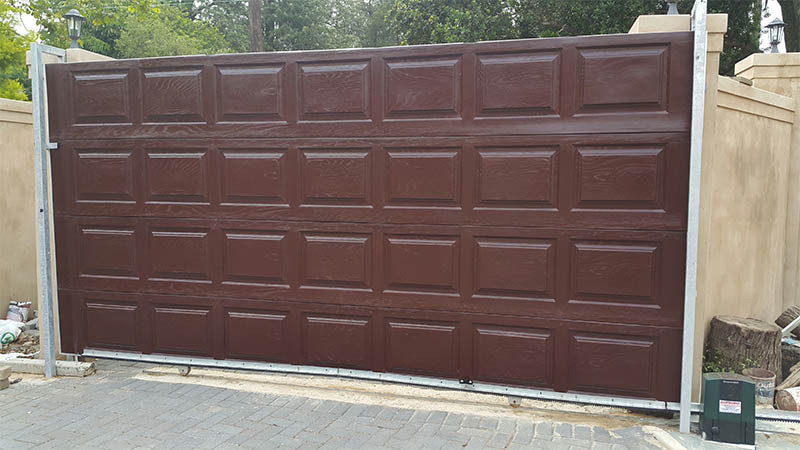 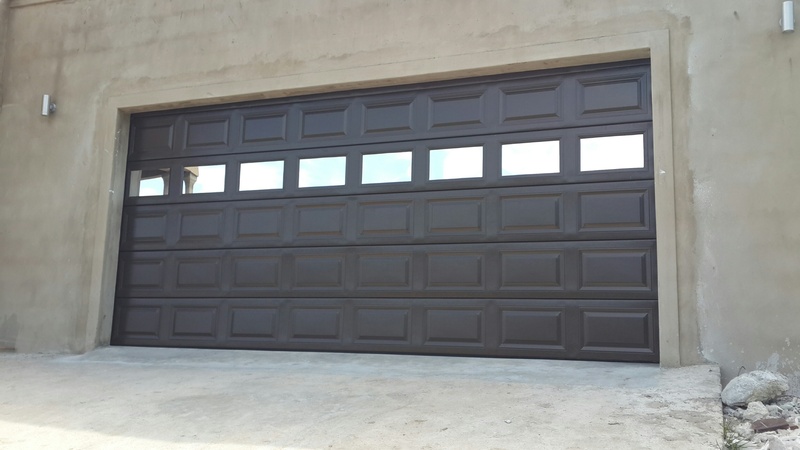 Maintenance free and light weight, these garage doors are by far the best replicas to solid Wooden garage doors and have taken charge of the industry. 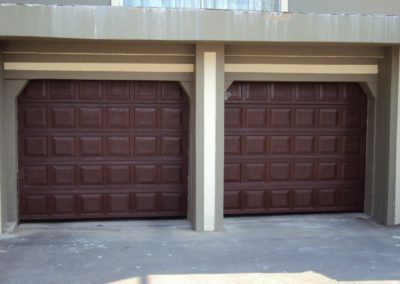 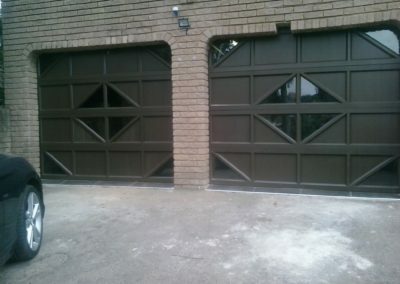 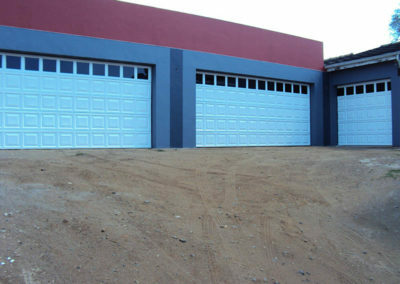 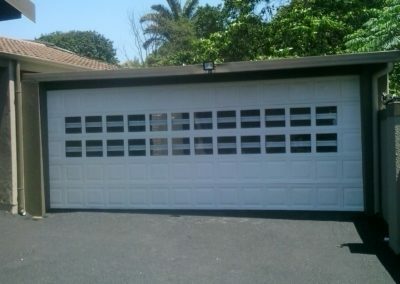 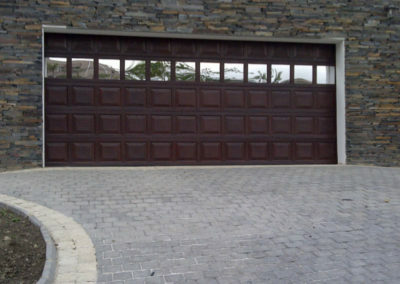 Available in many designs, colours and with glass features, these garage doors are of a unique class. 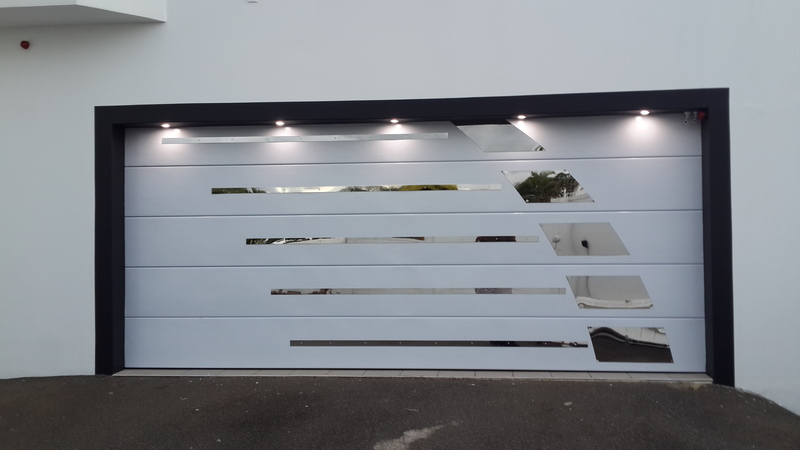 Let your garage door be the signature to your home by designing your very own Glass feature or Stainless Steel customisation exclusive to Quality Design Doors. 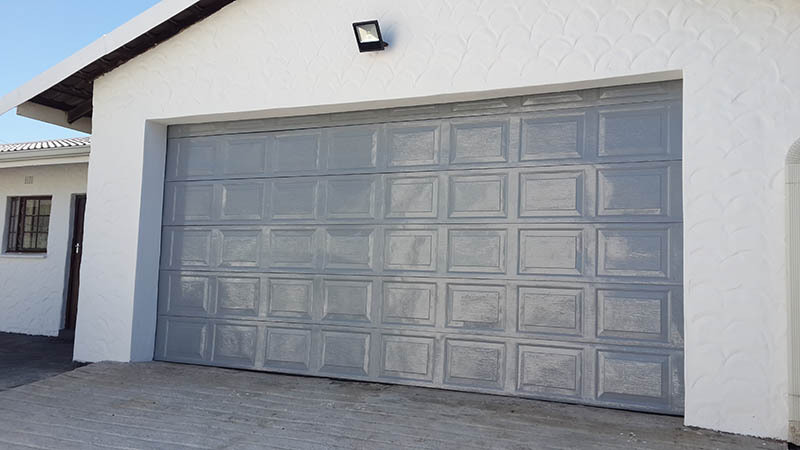 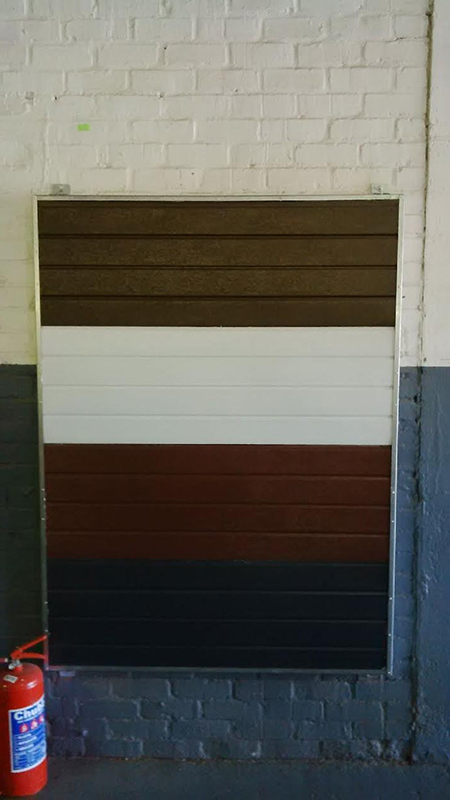 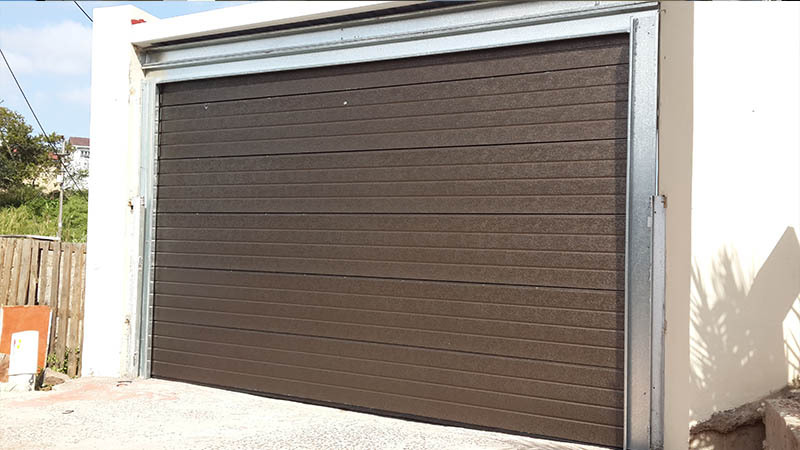 We carry the best range of Aluzinc Garage Doors that are available in a variety of designs and colours. 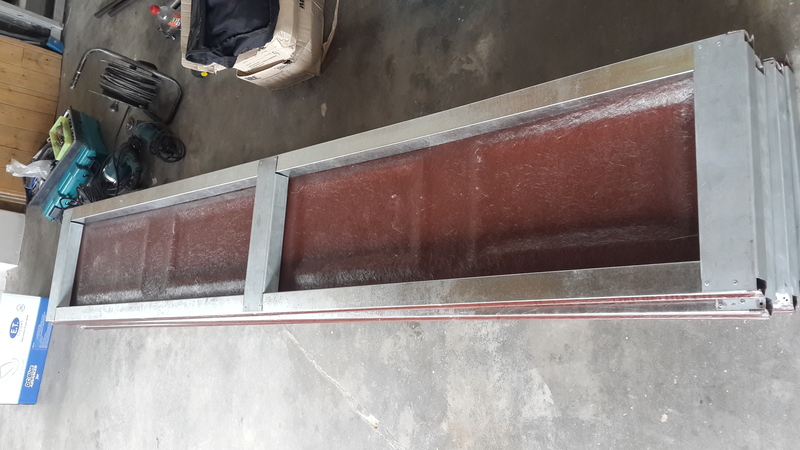 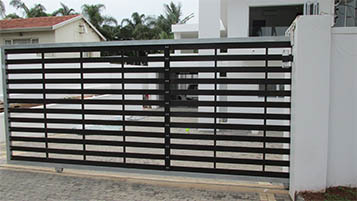 These products are machine pressed from award winning Aluzinc and are of utmost precision. 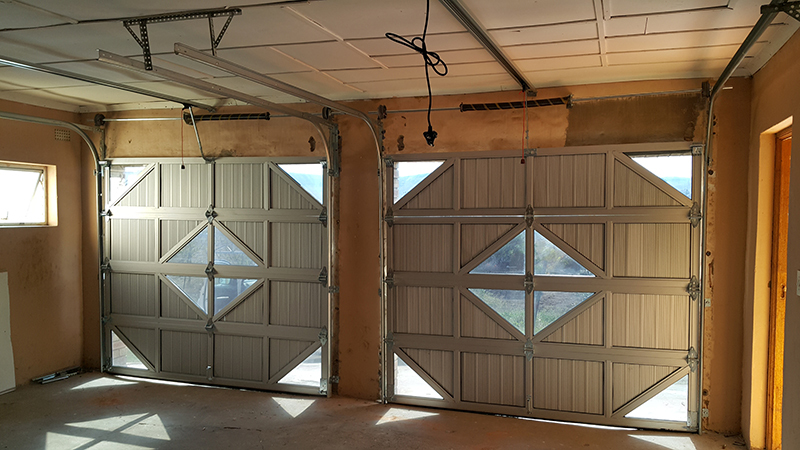 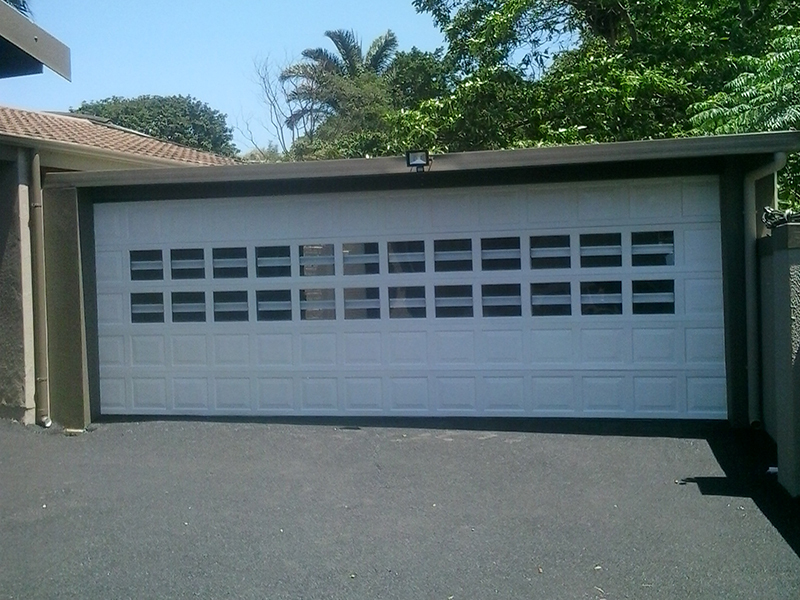 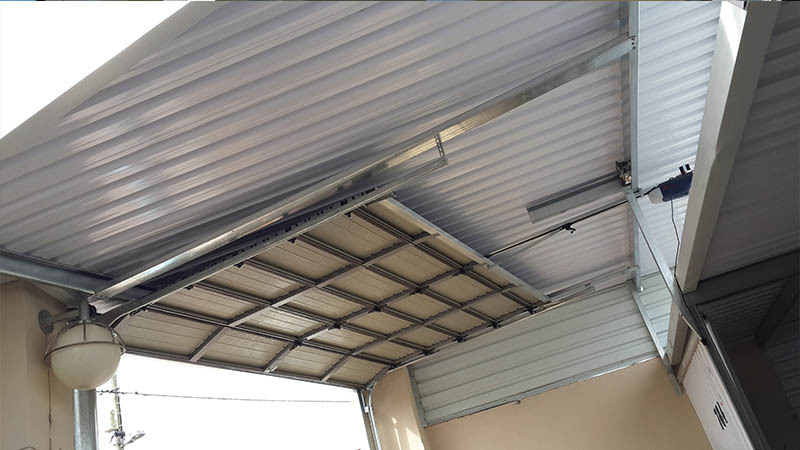 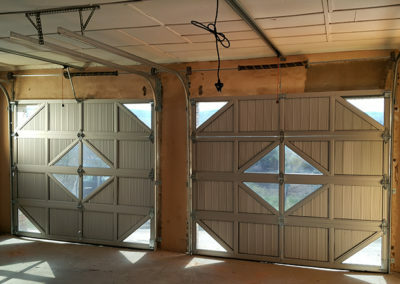 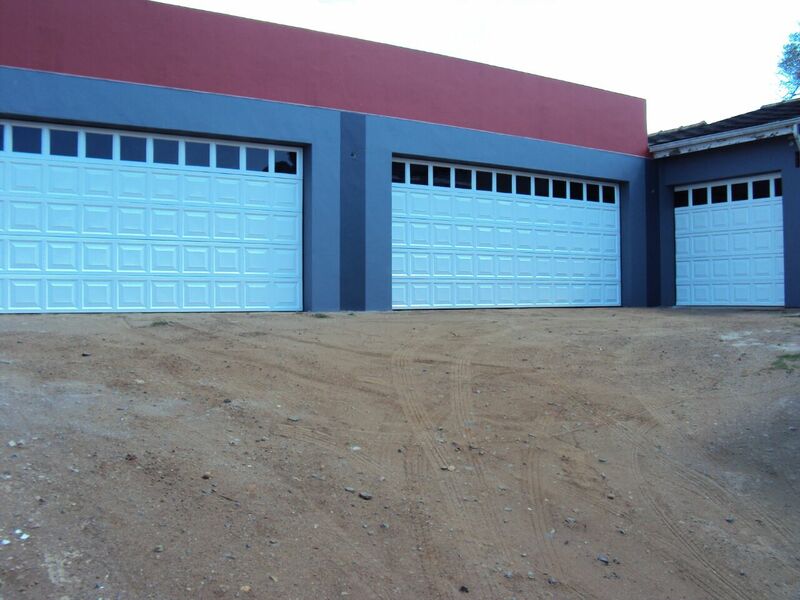 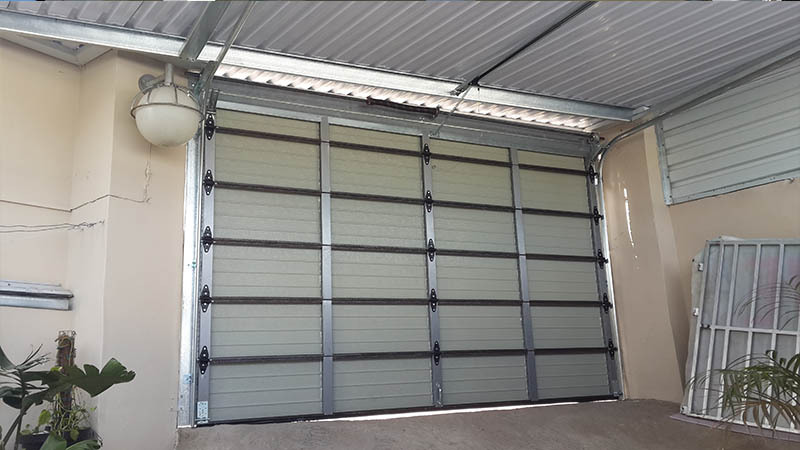 These garage doors are assembled with galvanized steel and boasts ultimate strength. 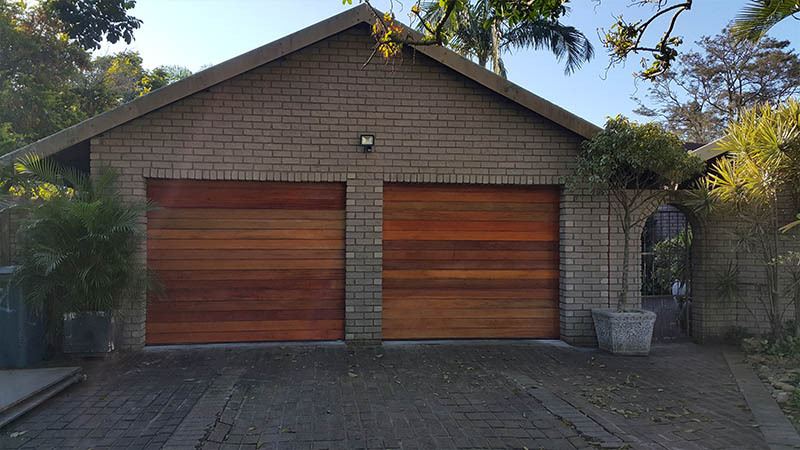 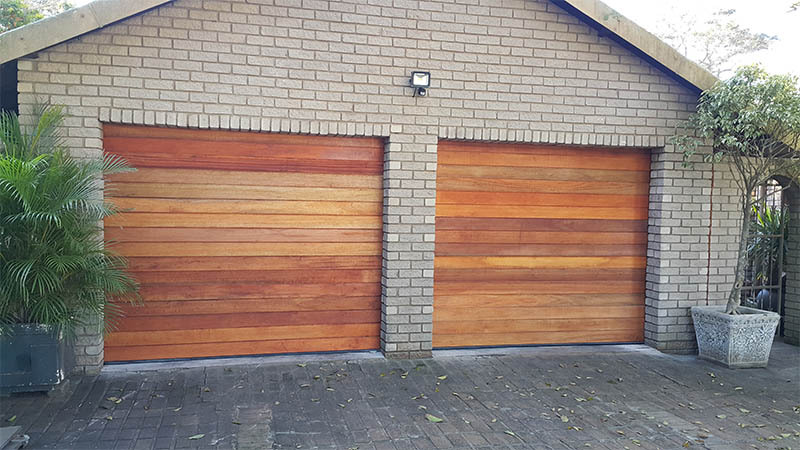 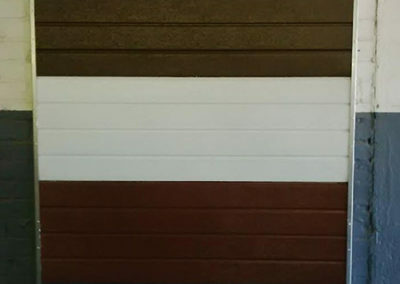 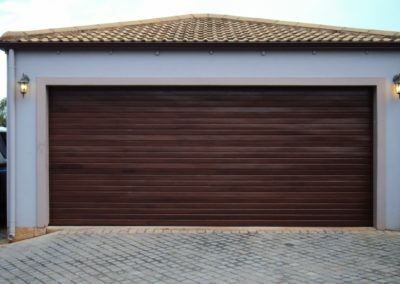 A wood grain finish leaves this product looking natural and just as strong as the common Meranti garage door with an added advantage of being maintenance free. 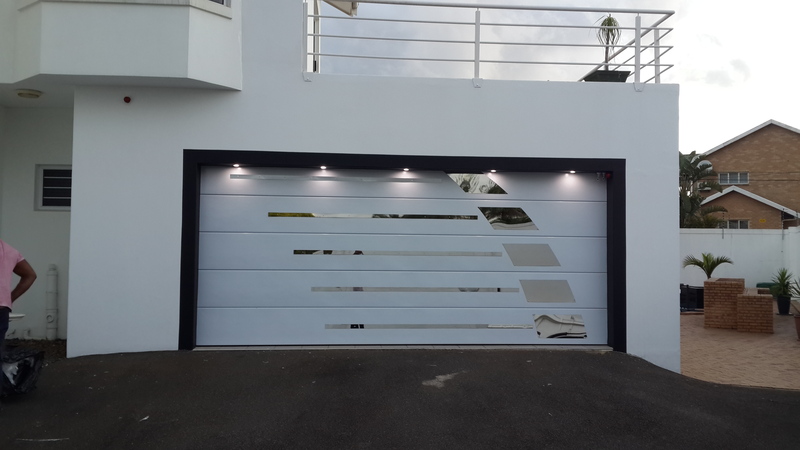 Now exclusive to Quality Design Doors, Glass Features or Stainless Steel customisation on Aluzinc Garage Doors. 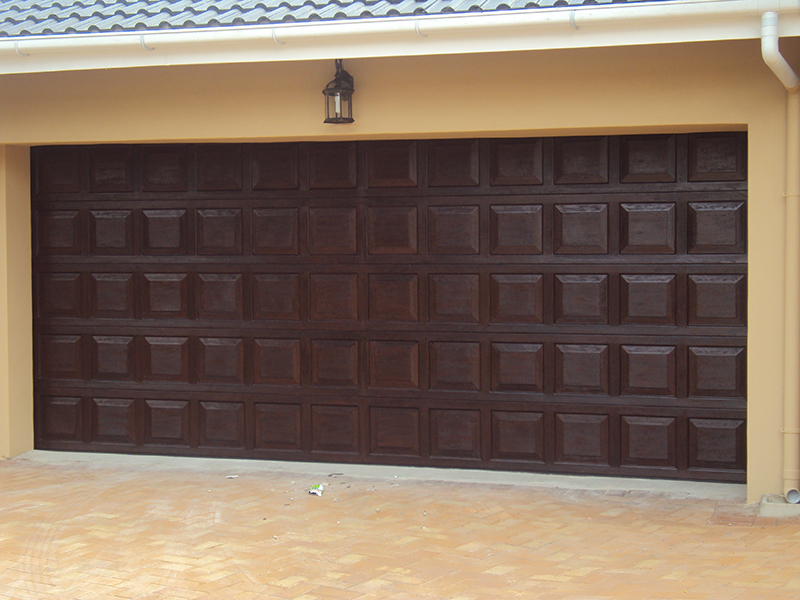 Here too we strive to uphold the best quality on the market by stocking solid Meranti Garage Doors. 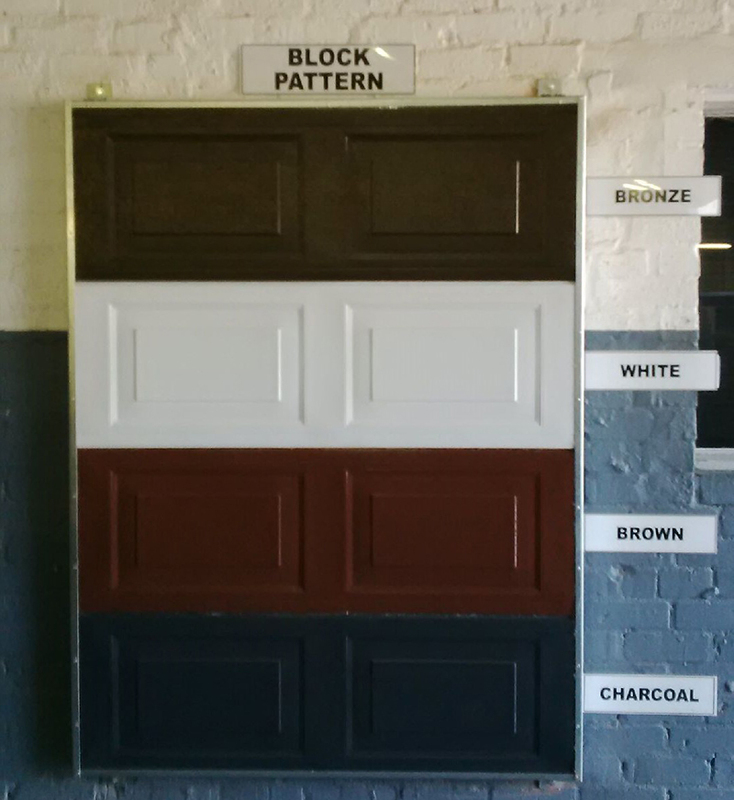 At Quality Design Doors we guarantee a 100% original Meranti Garage Door which is available in two patterns (Block and Slatted). 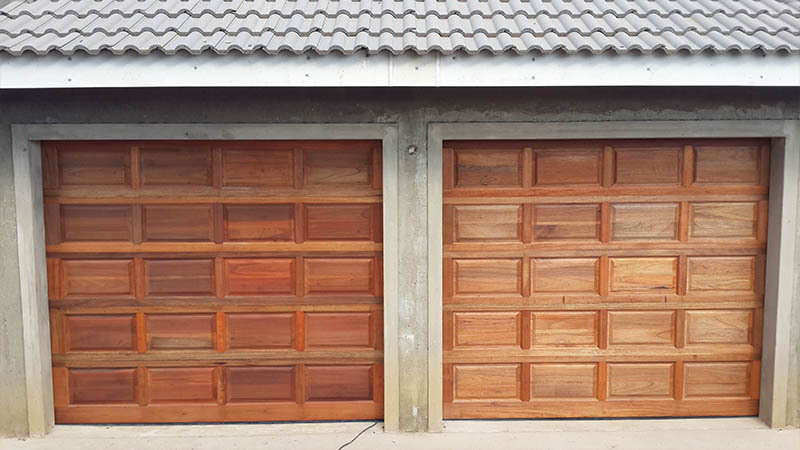 Although a bit of maintenance is required with Meranti Garage Doors, however this is the garage door that will set aside your home from the rest as nothing compares to an original. 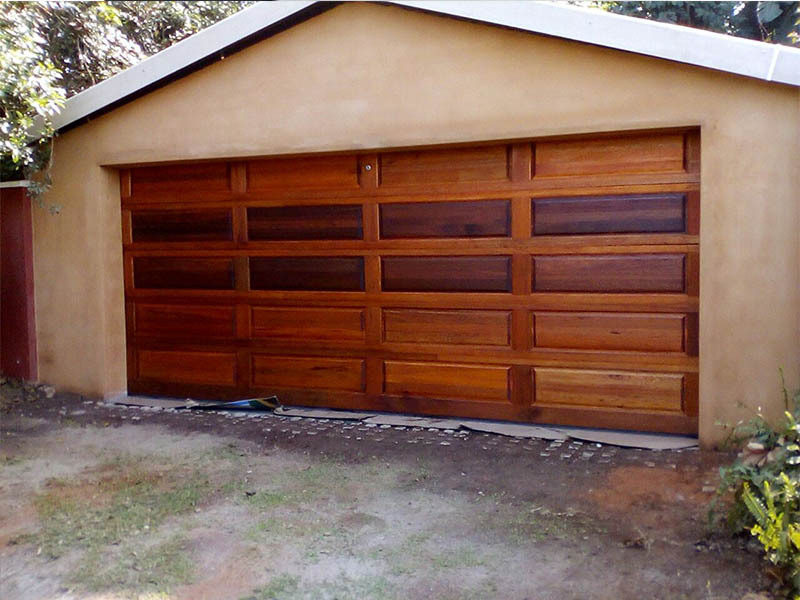 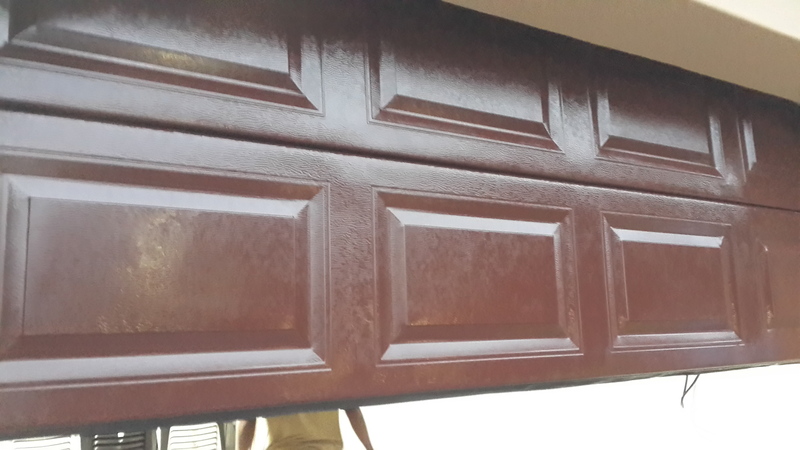 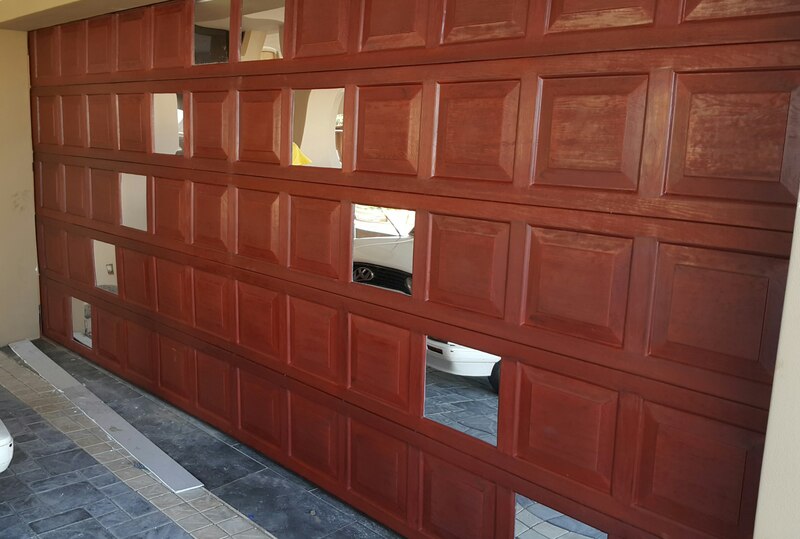 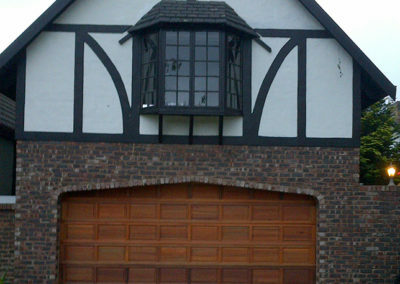 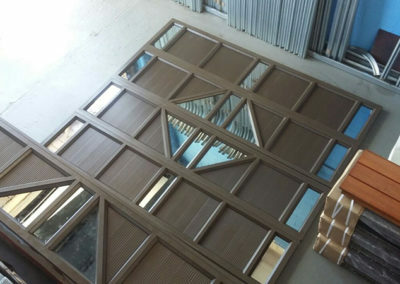 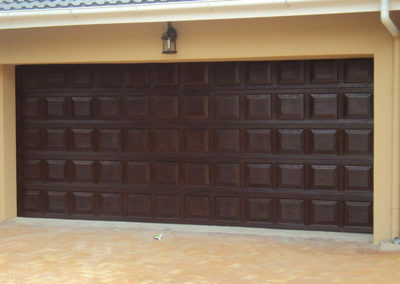 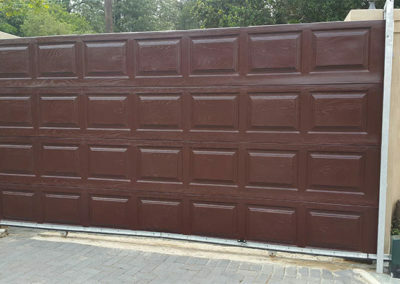 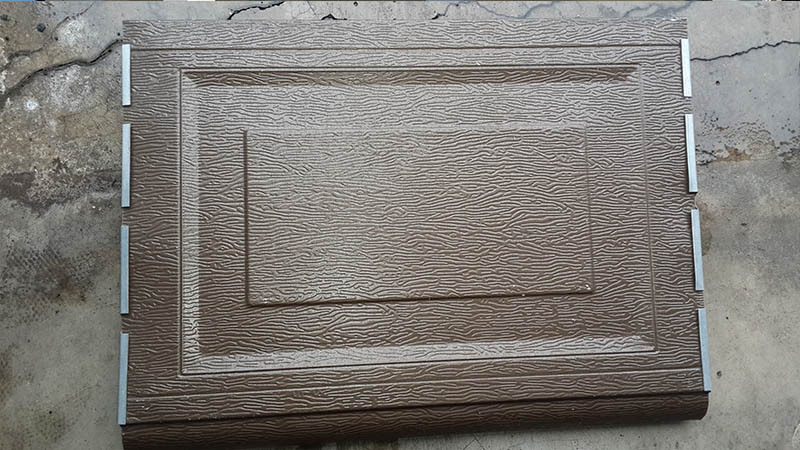 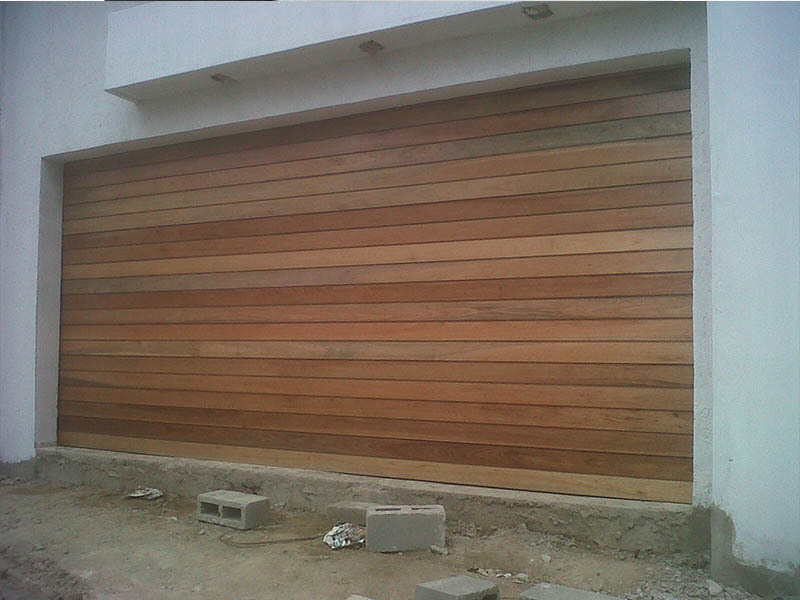 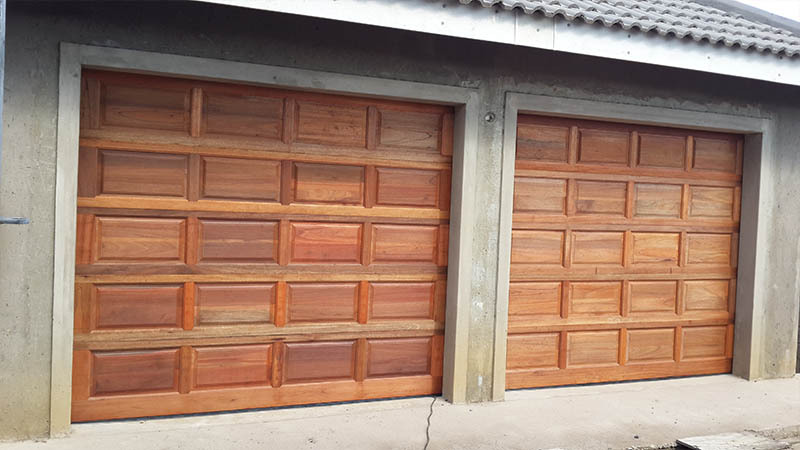 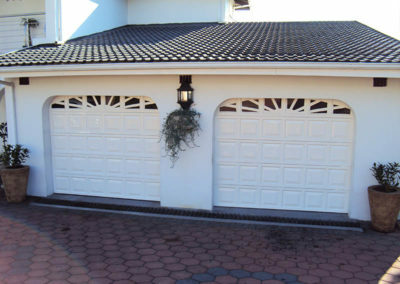 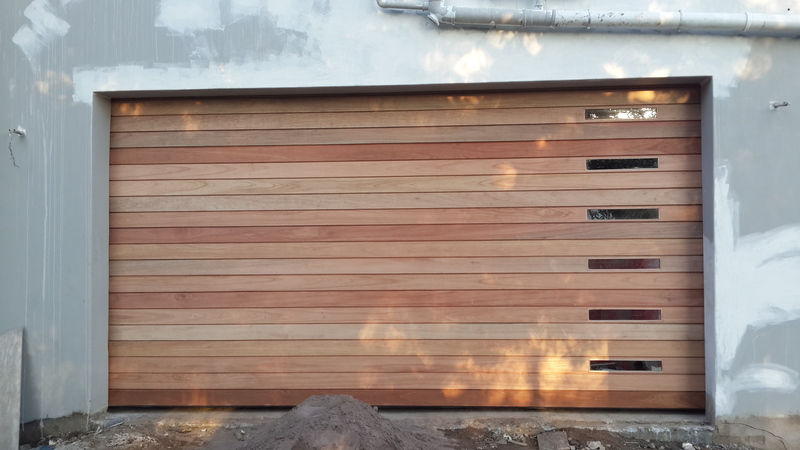 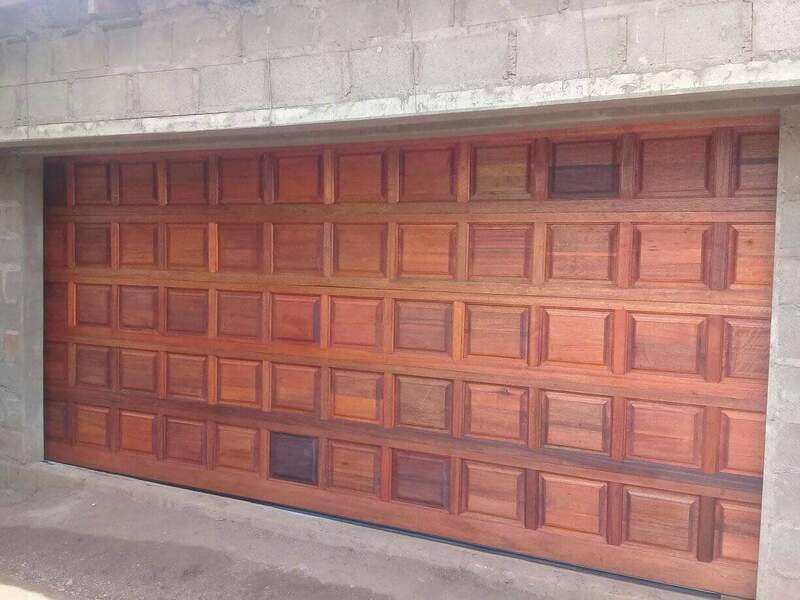 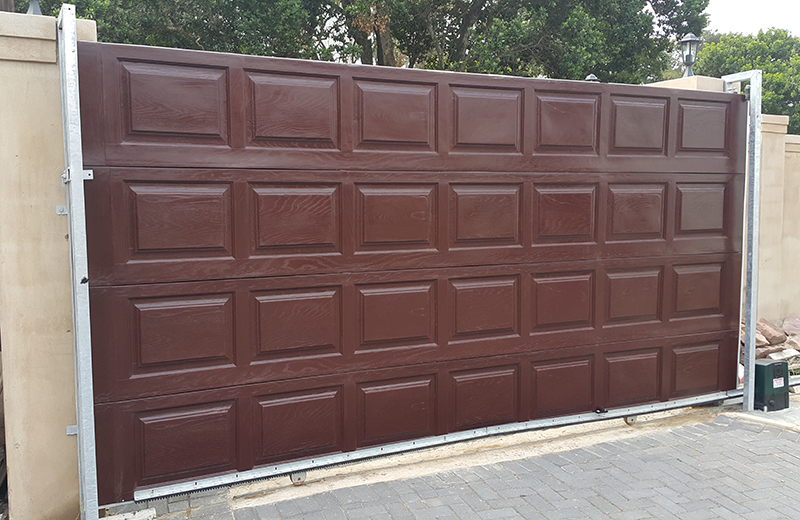 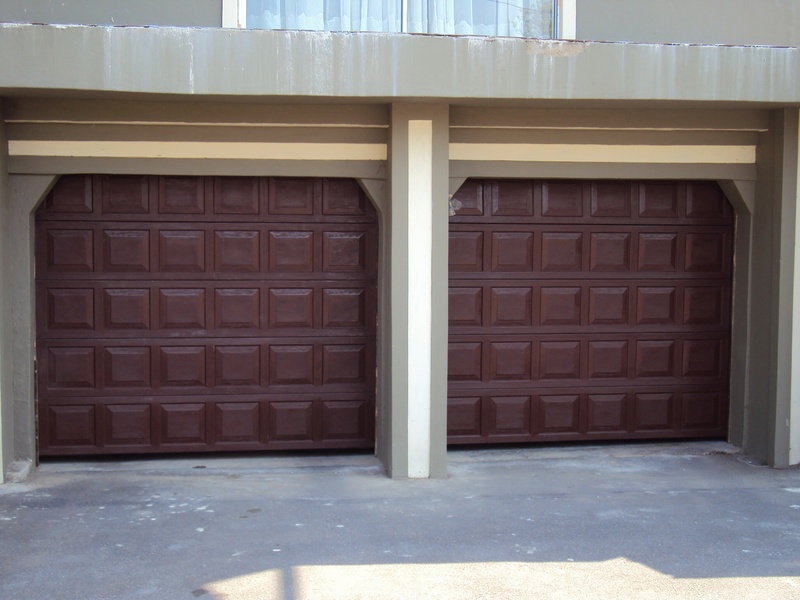 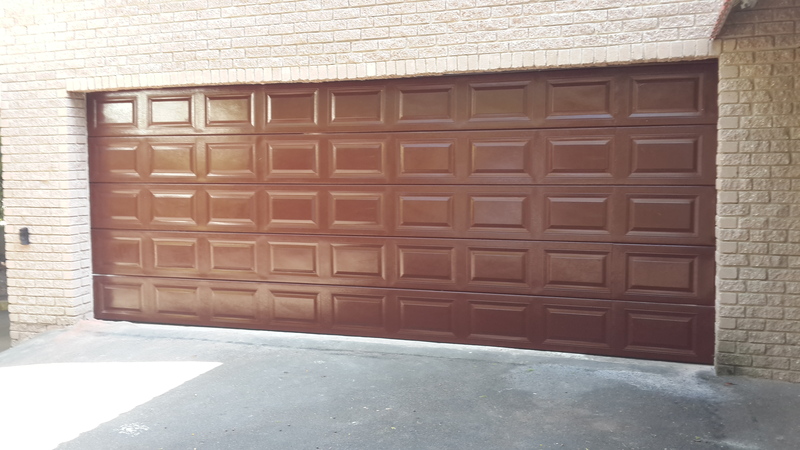 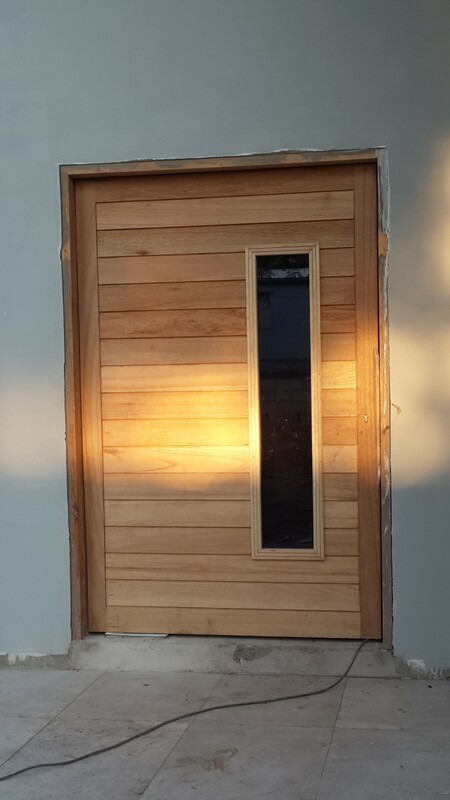 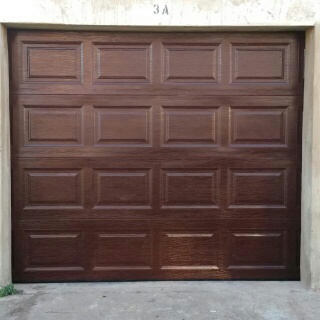 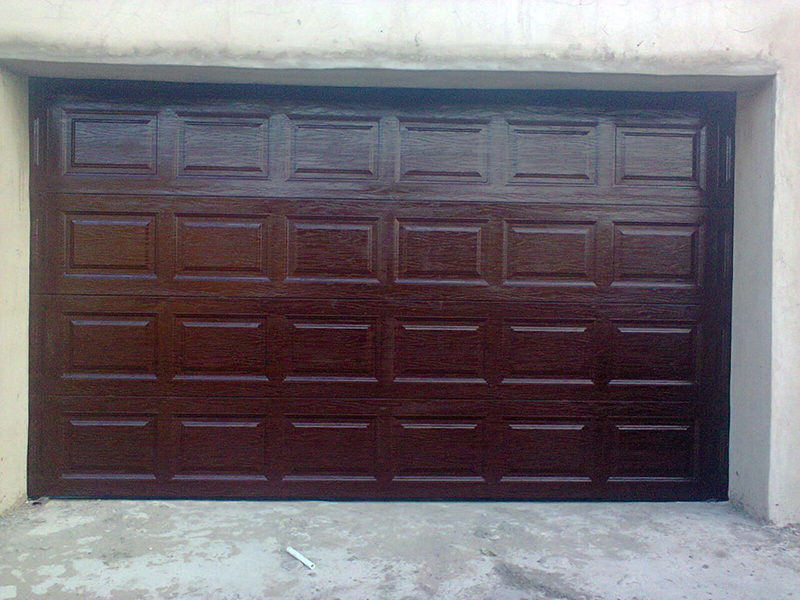 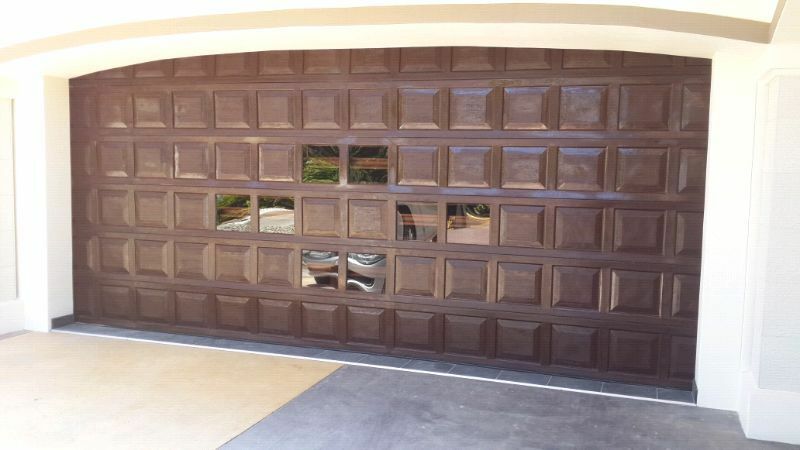 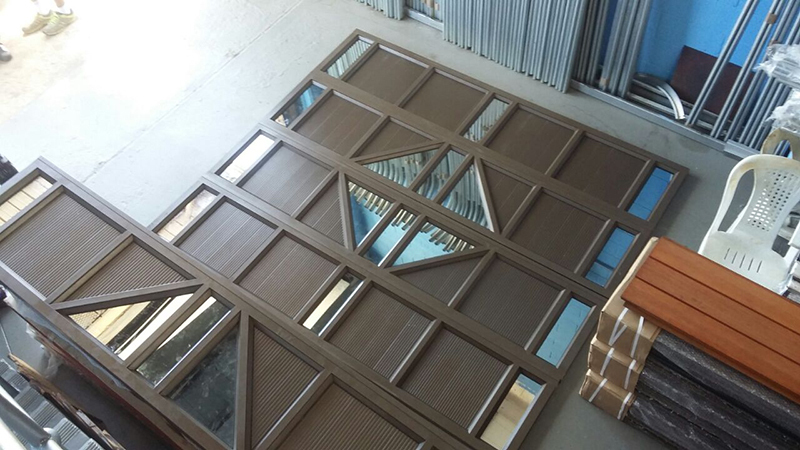 Wooden Garage Doors can also be manufactured with other exotic materials upon request. 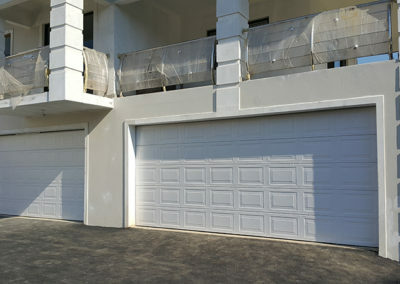 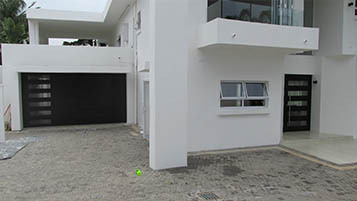 At Quality Design Doors, we manufacture Aluminium Garage Doors according to your own unique design. 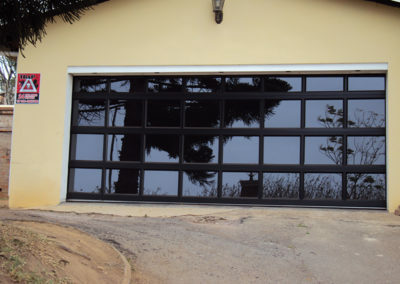 Although at the top of the price chart, Aluminium Garage Doors are by far the most elegant and superior. 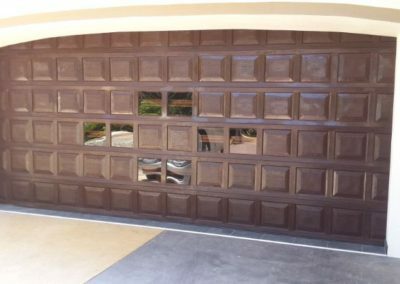 Rust free, strong, maintenance free and light weight , these garage doors will change the face of your home to leave guests in awe. 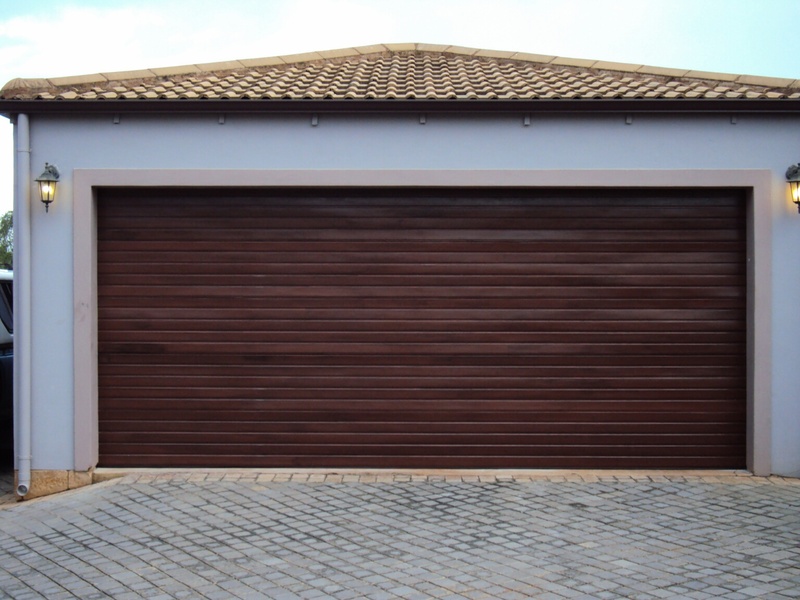 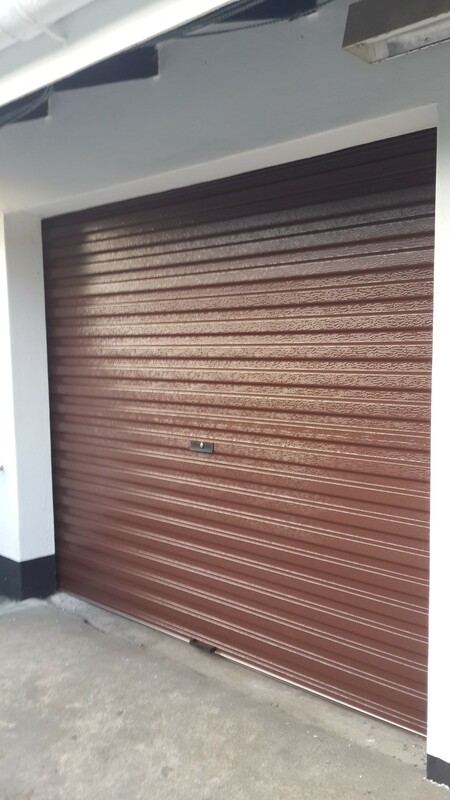 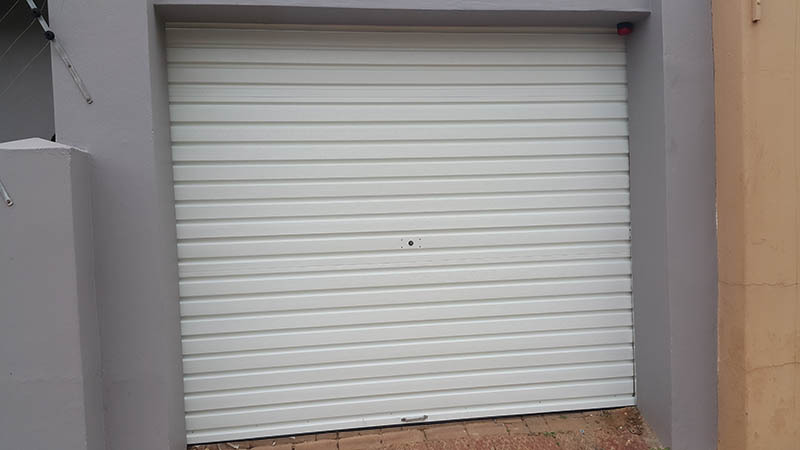 Aluminium Garage Doors are available in a standard slatted design and in various colours should you not wish to consider the option of designing your very own garage door. 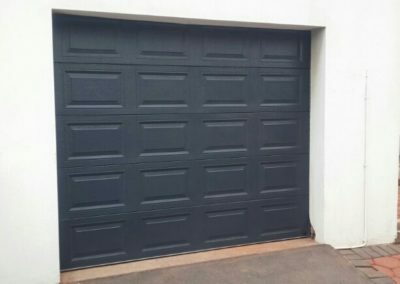 We have searched far and wide to source the best quality garge doors which is manufactured either of Chromadeck or Aluzinc materials. 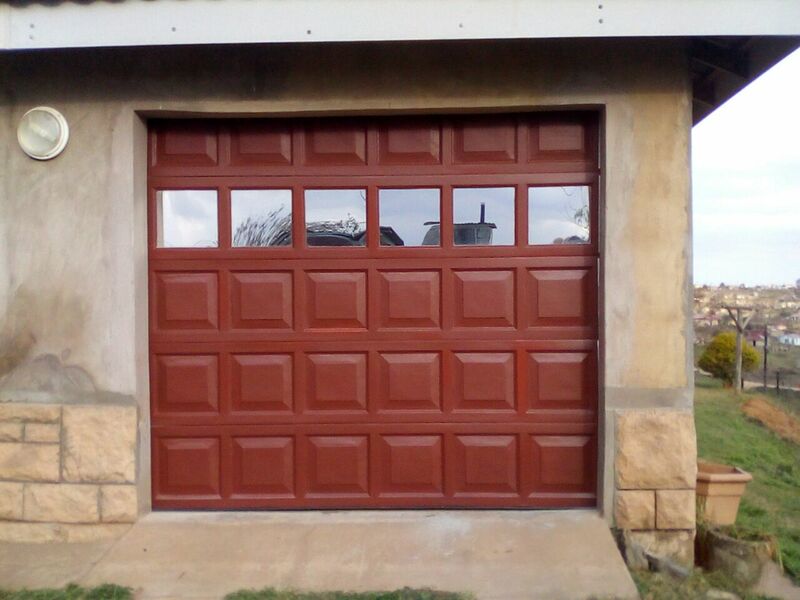 These doors boast superior strength and are available in a range of colours. 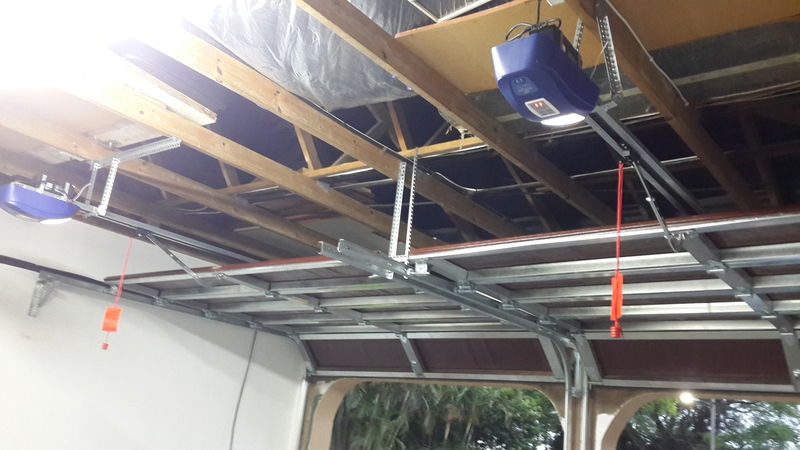 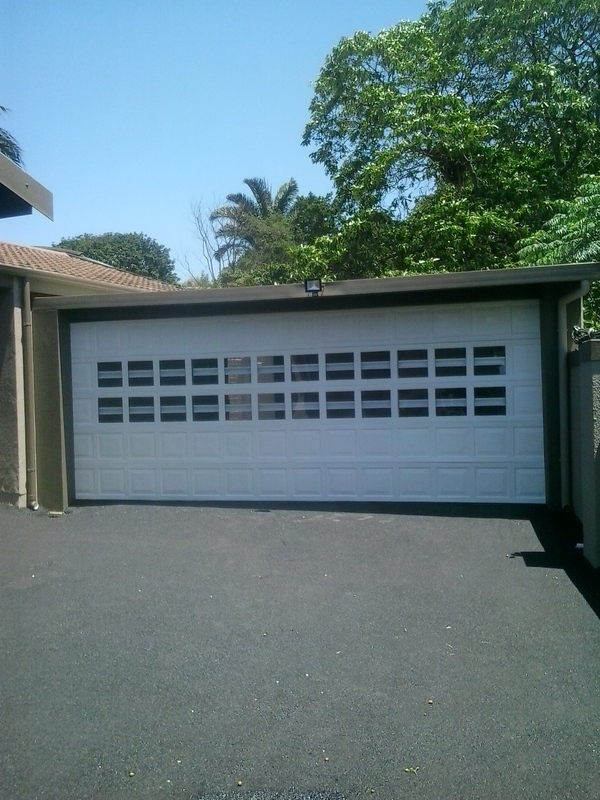 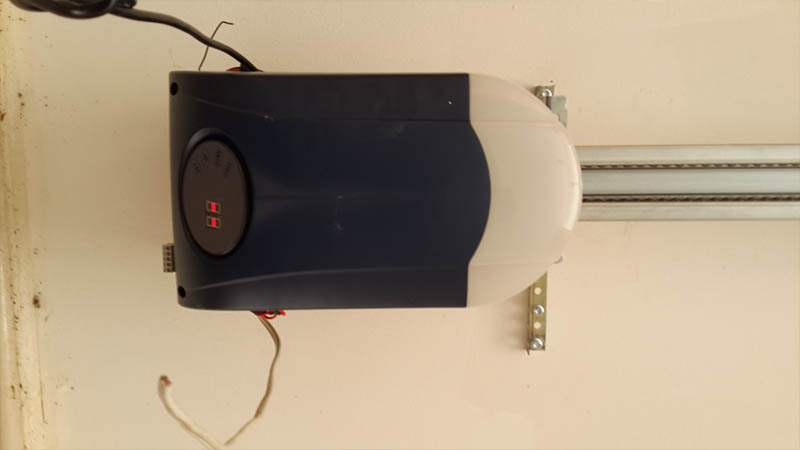 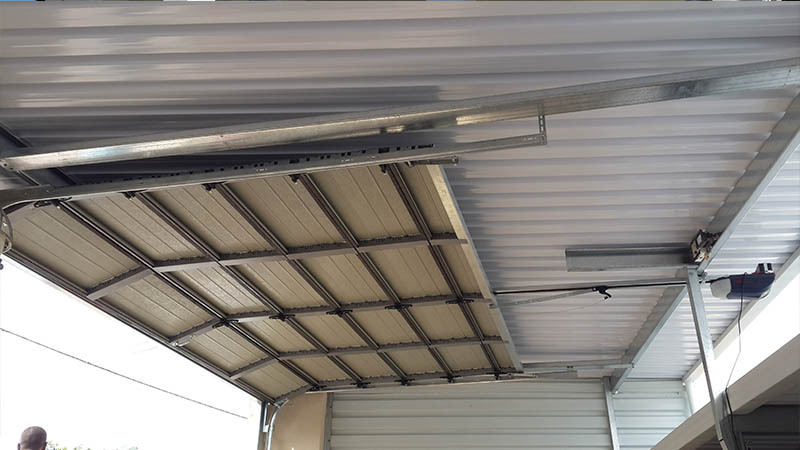 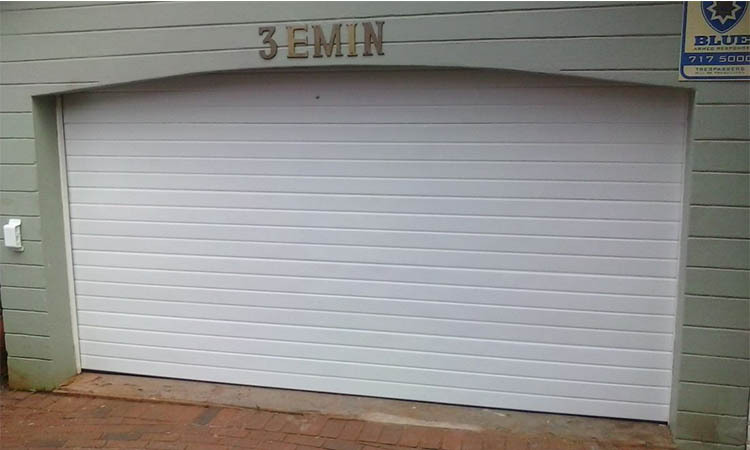 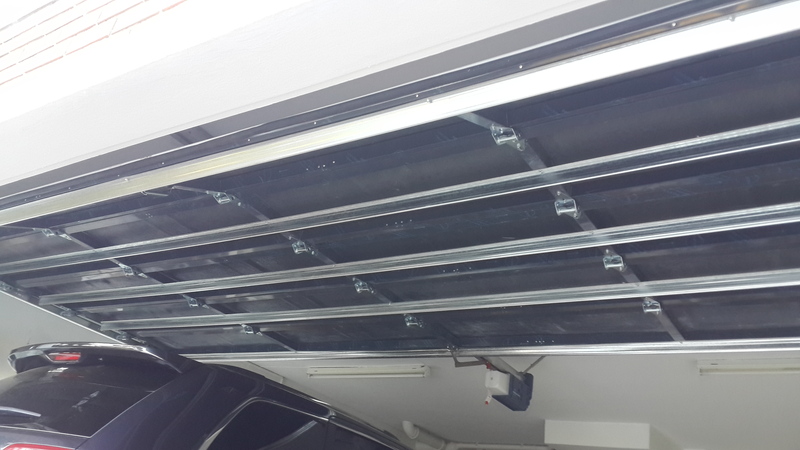 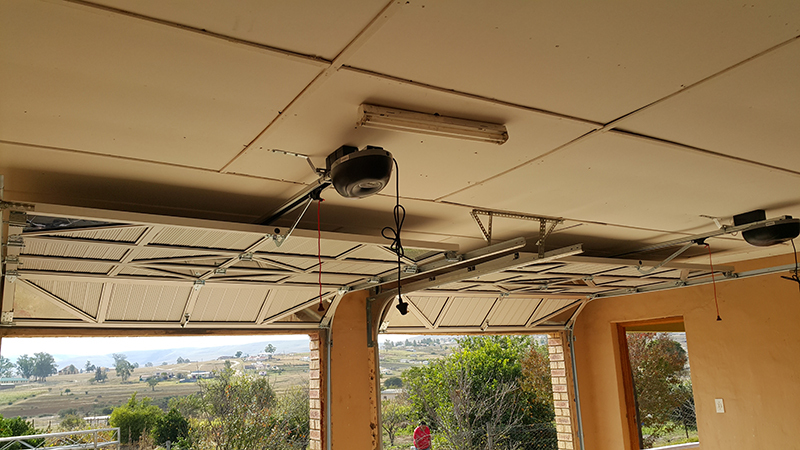 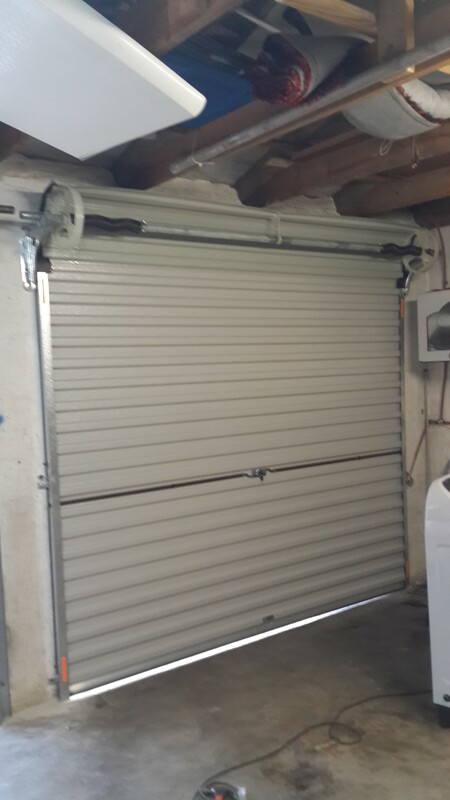 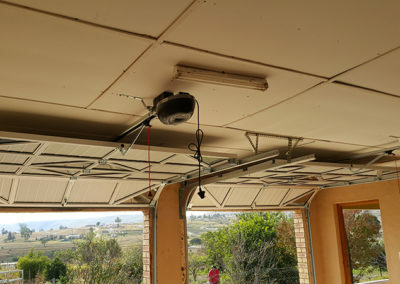 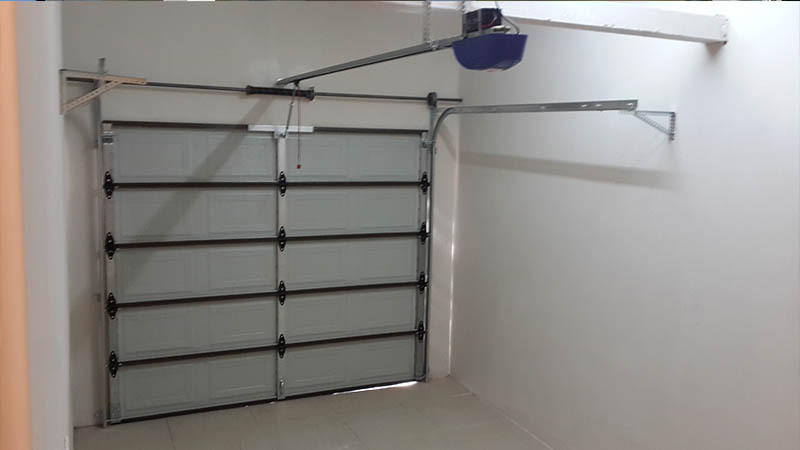 Roll Up Garage Doors can easily be automated. 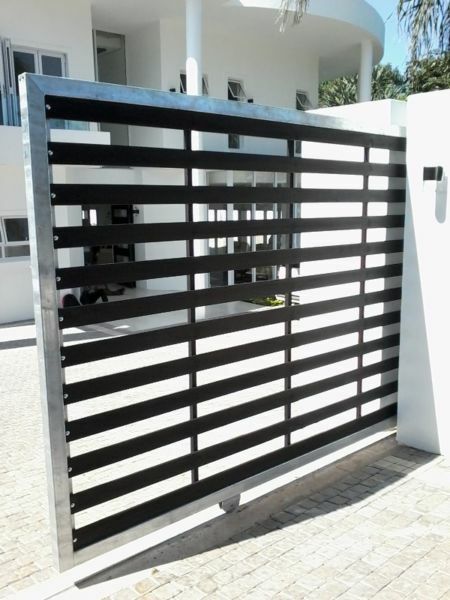 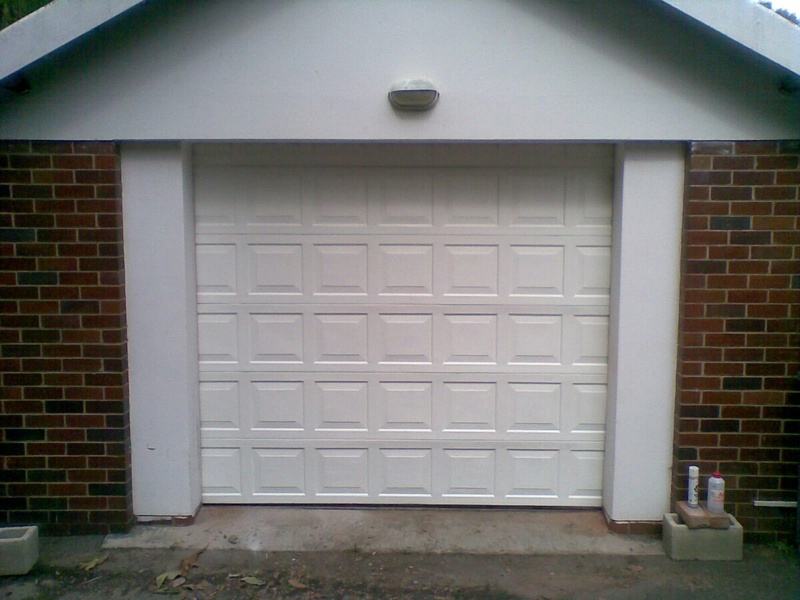 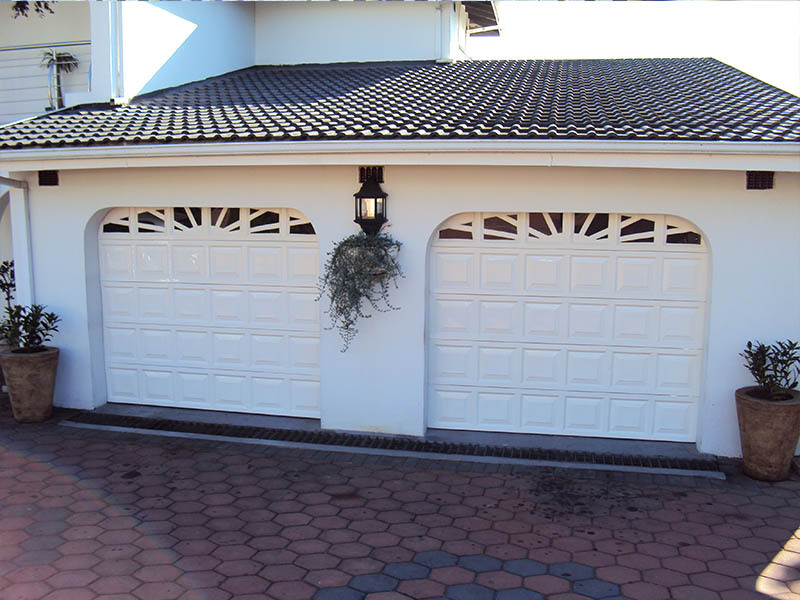 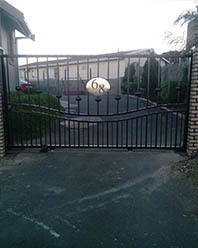 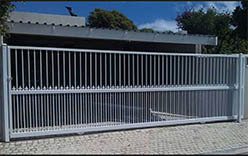 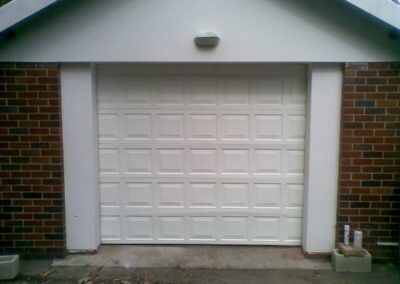 We manufacture and install a range of driveway gates that can be made to match your garage door. 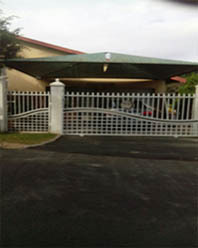 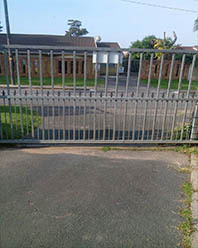 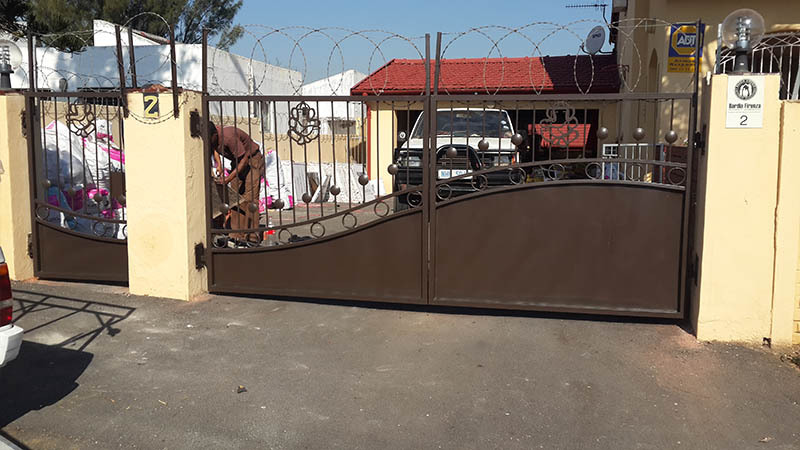 No matter the size we will have you secured with either a double or single sided driveway gate that offers an amazing look and maximum security. 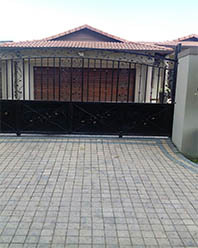 Digi, Centurion and ET Systems are the leading brands in the automation industry. 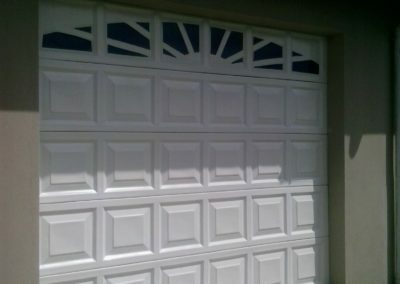 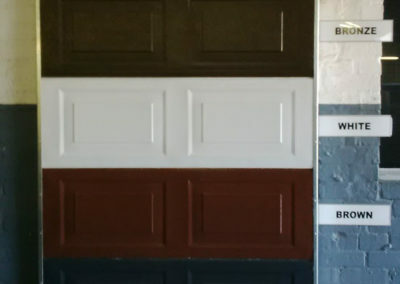 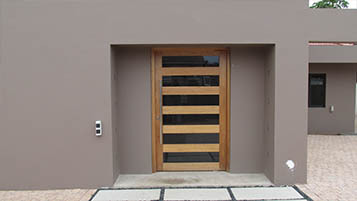 Yes, here at Quality Design Doors we supply and install either of the above brands on your garage doors and gates. 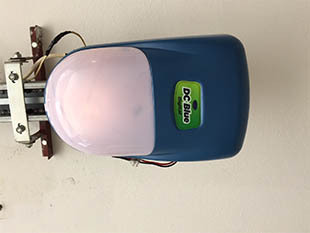 Automation units come with battery backups ensuring access at all times and two, four button remote controls which can be linked to an alarm system and other motorized units.